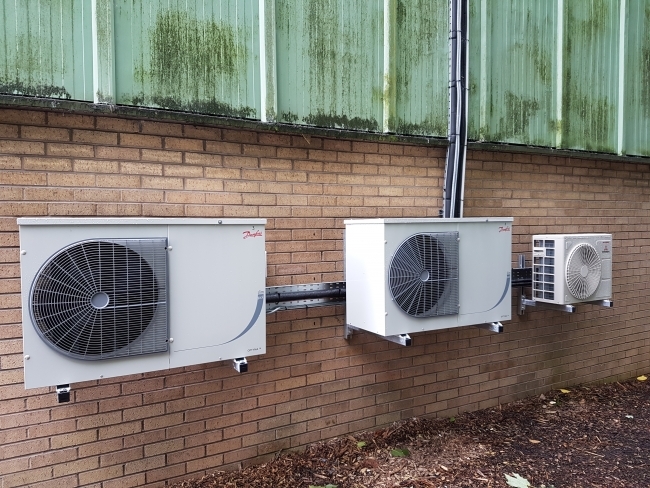 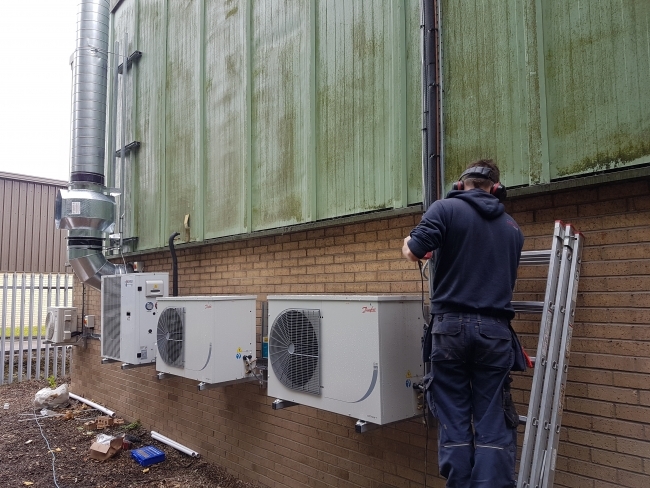 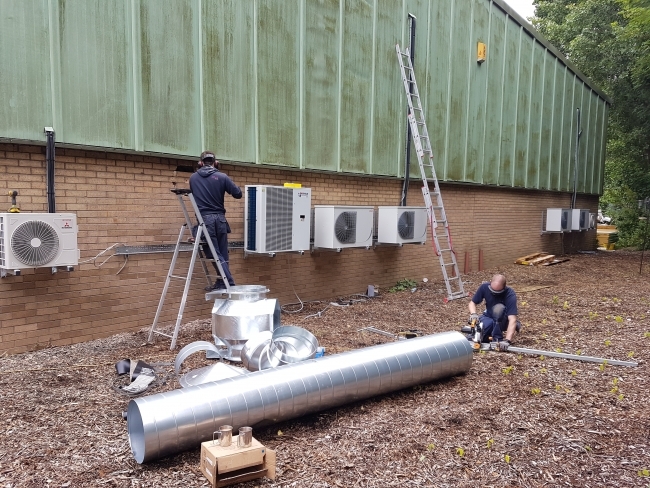 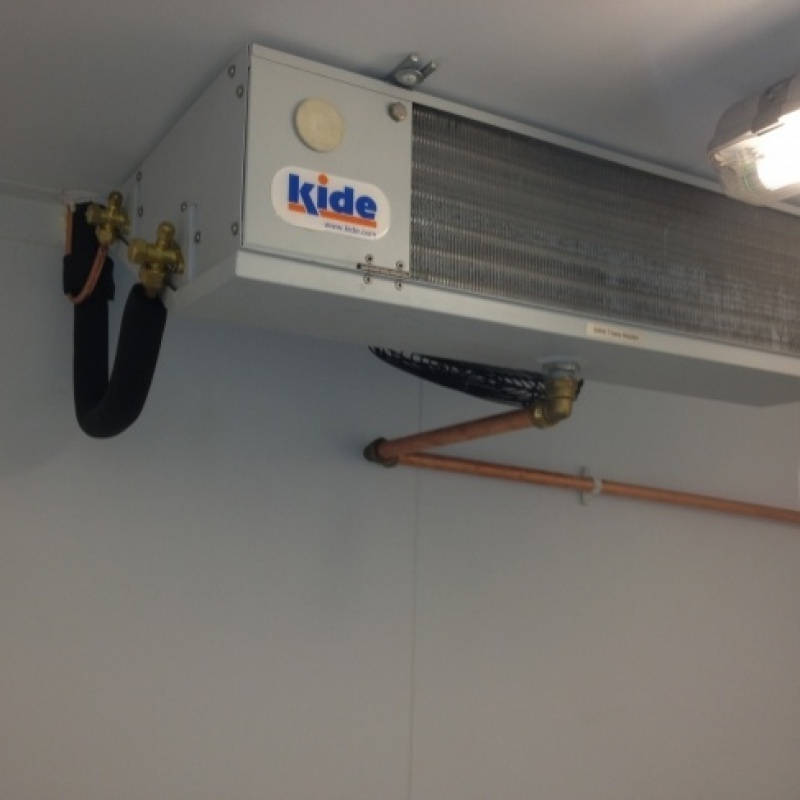 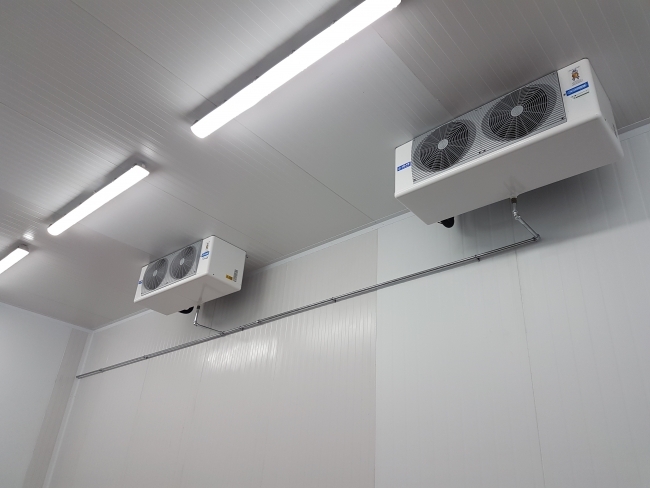 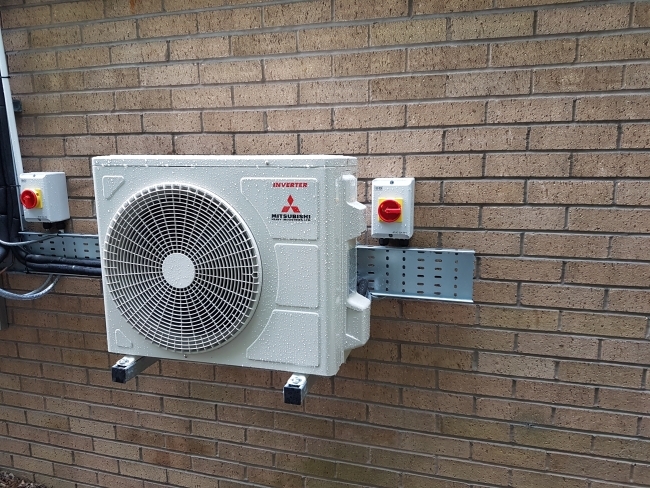 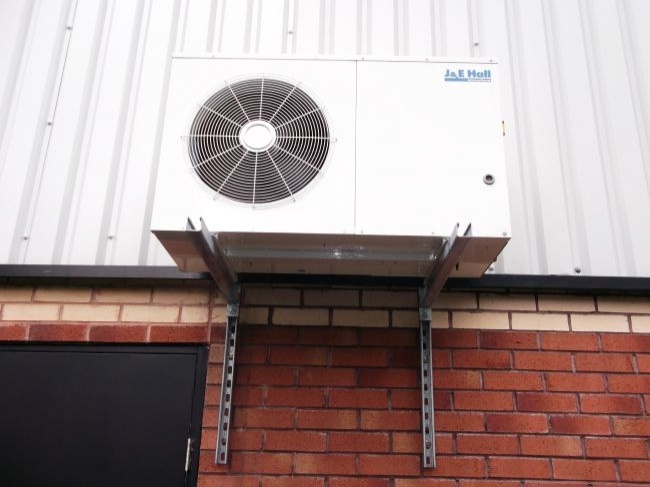 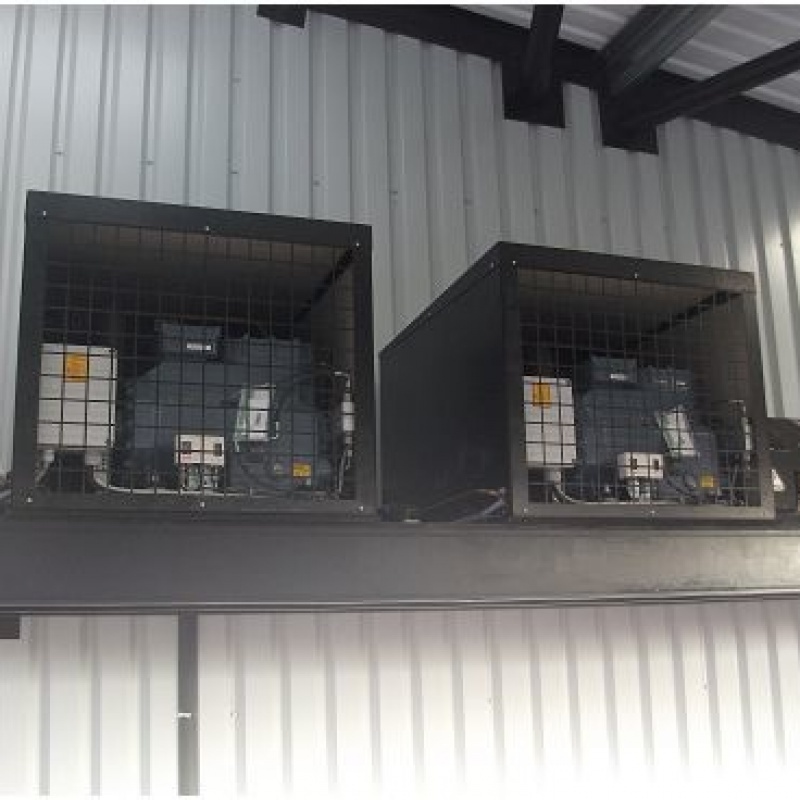 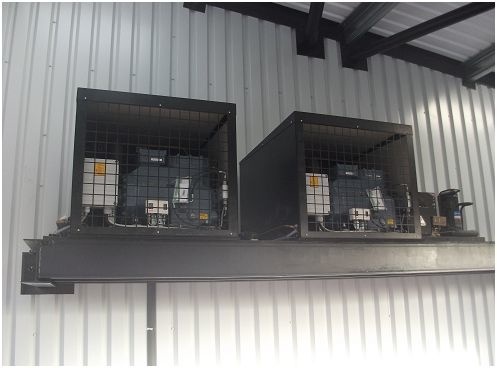 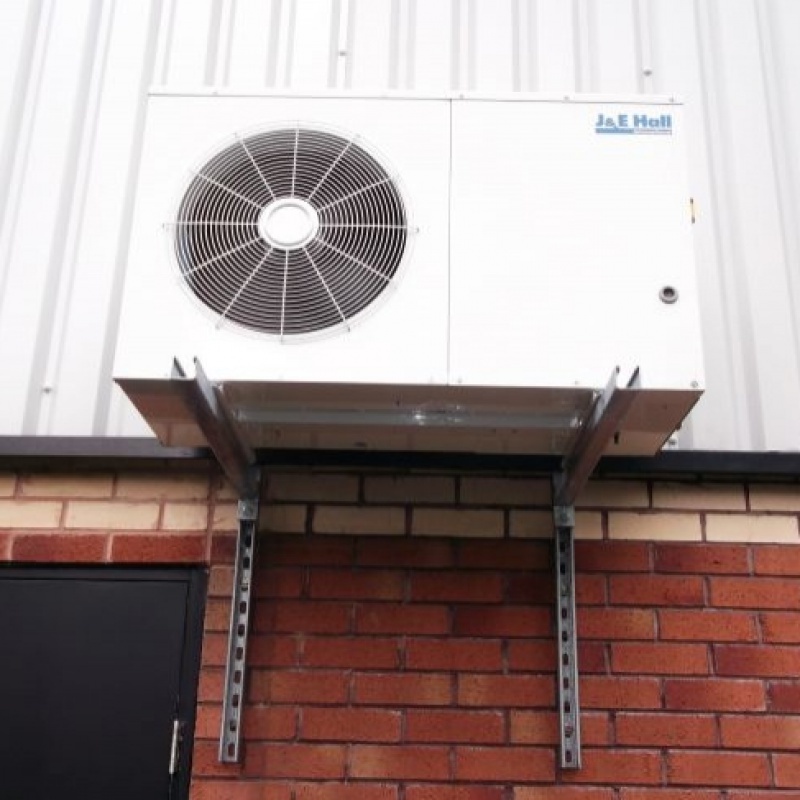 Director Will Munroe contacted us to install refrigeration systems to storage cold rooms, high risk chilled preperation room, blast chiller/freezer room and air conditioning systems to offices and staff canteen. 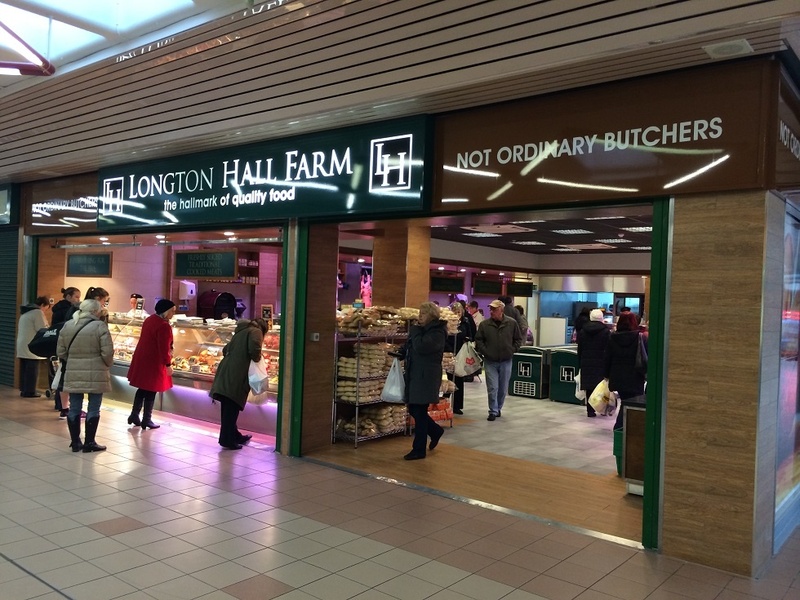 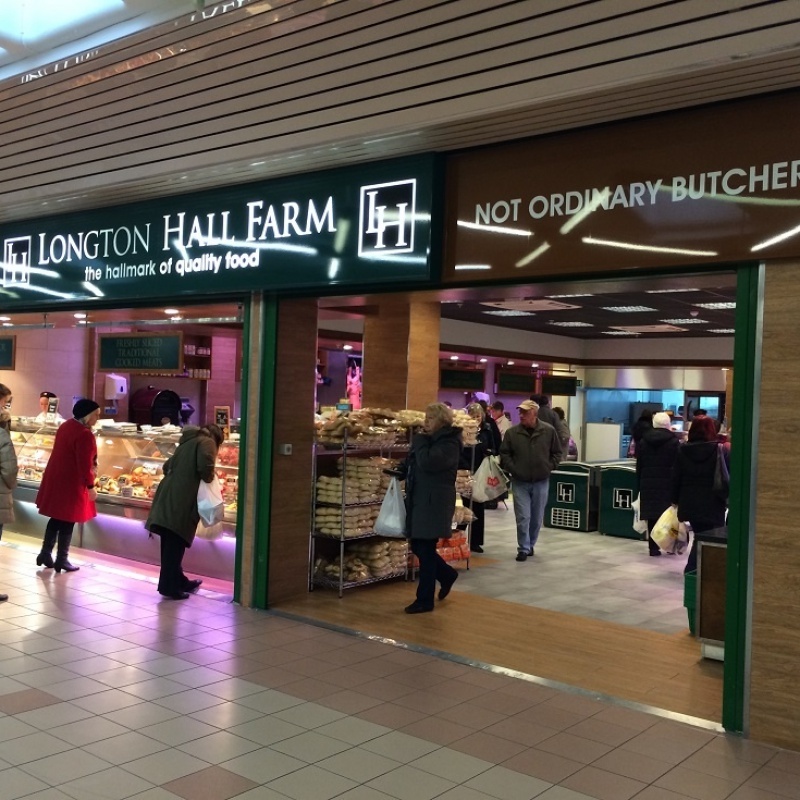 Longton Hall Farm based in Bootle re-located into a new premises. 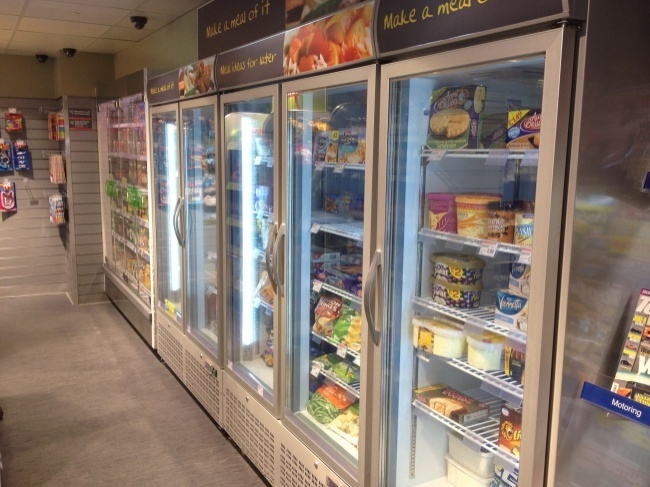 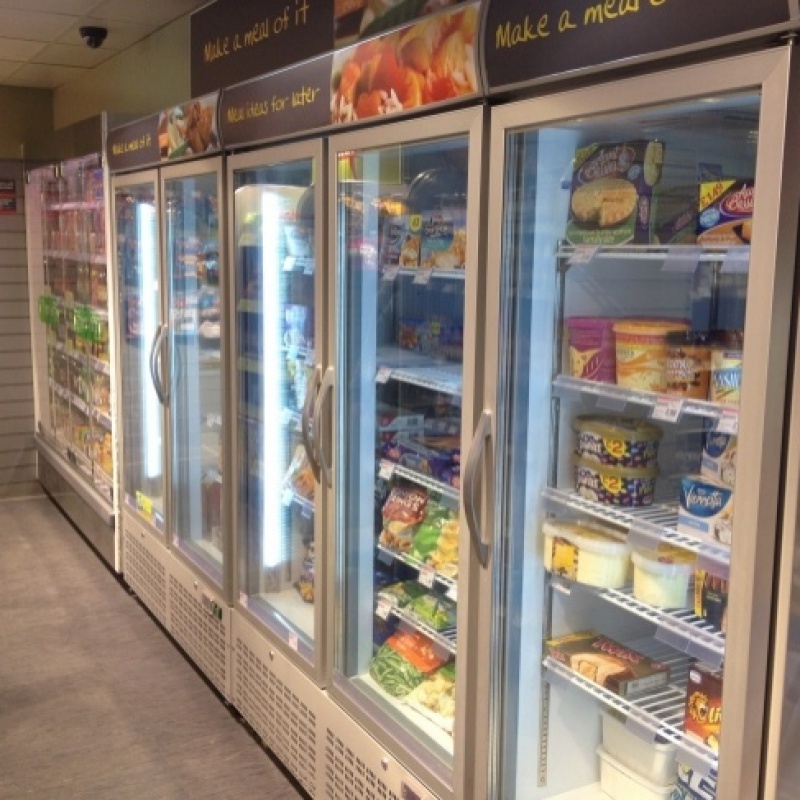 Our involvement in this project included supplying and Installing all major refrigeration aplications from multidecks, cold rooms, glass door freezers and serveovers. 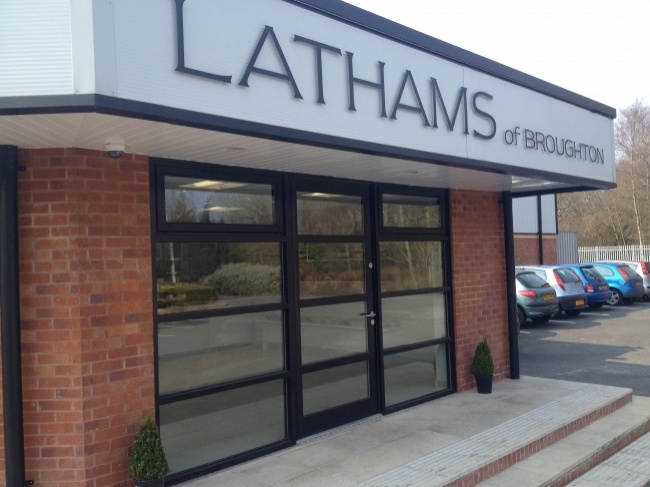 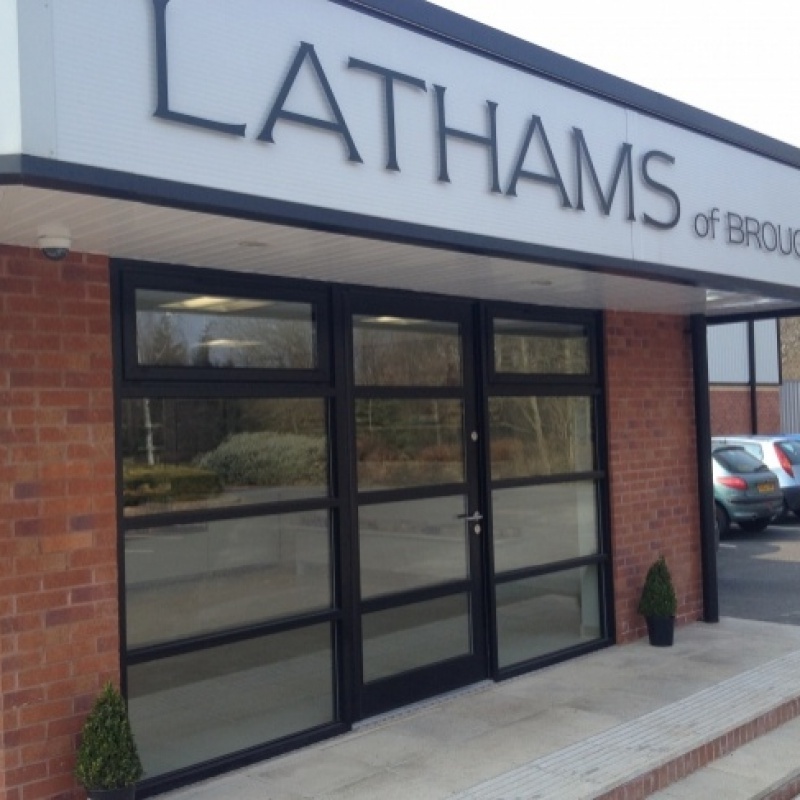 Lathams of Broughton opened their brand new shop April 2013 located at their factory on Caxton road, Fulwood, Preston. 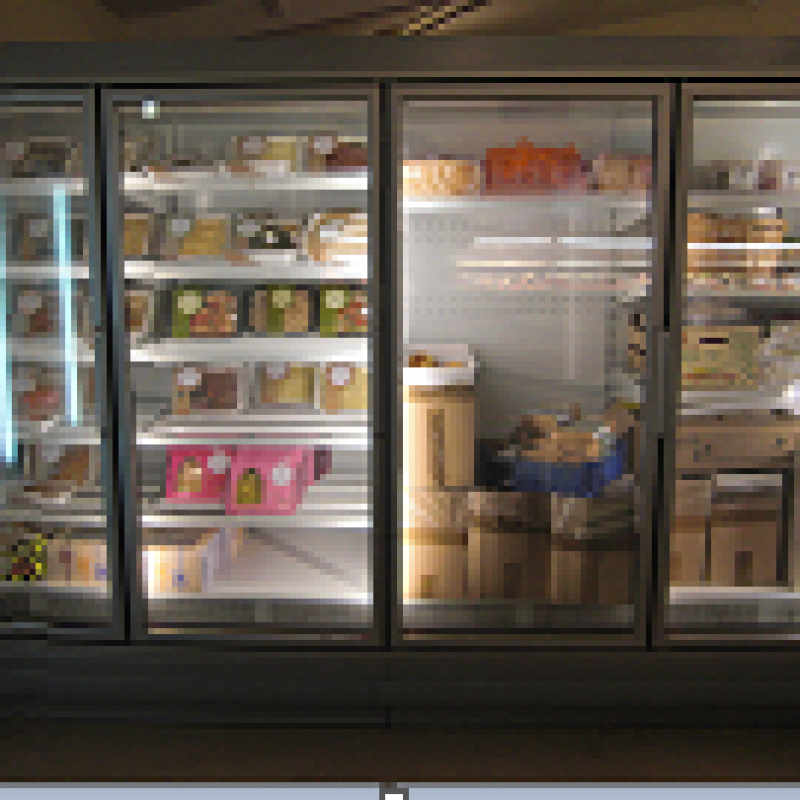 Here we have supplied two Linde/Carrier cases with energy efficient doors and LED lights and XL refrigerated display cabinets. 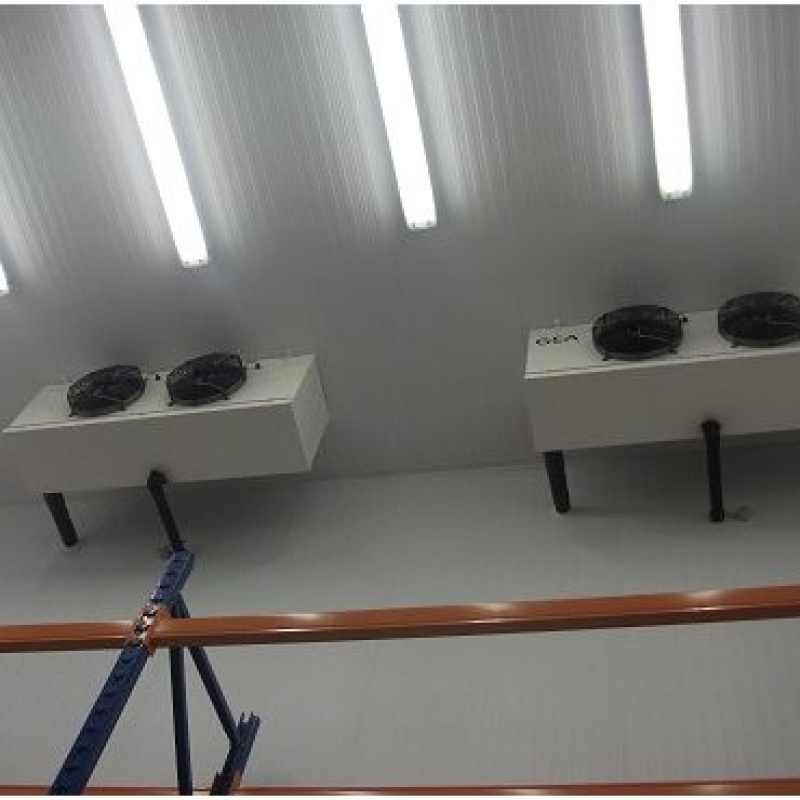 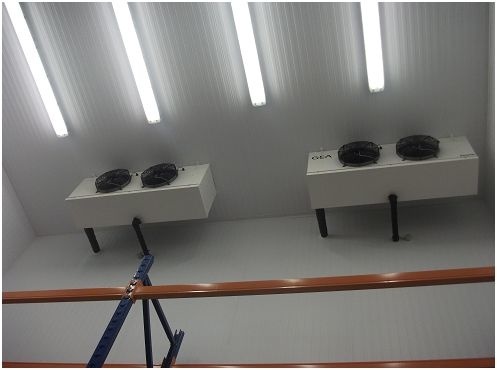 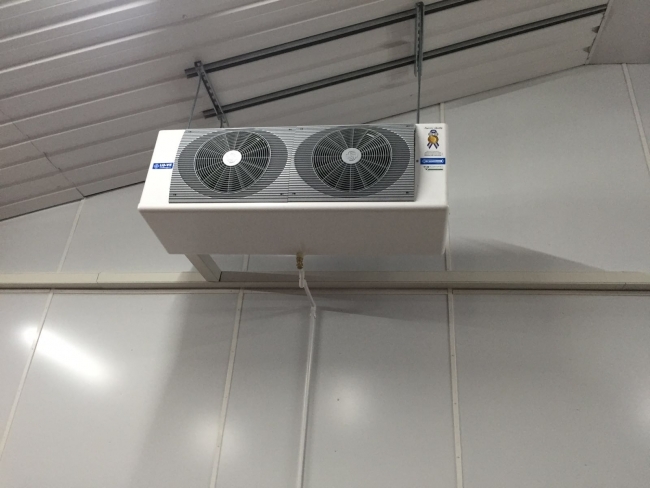 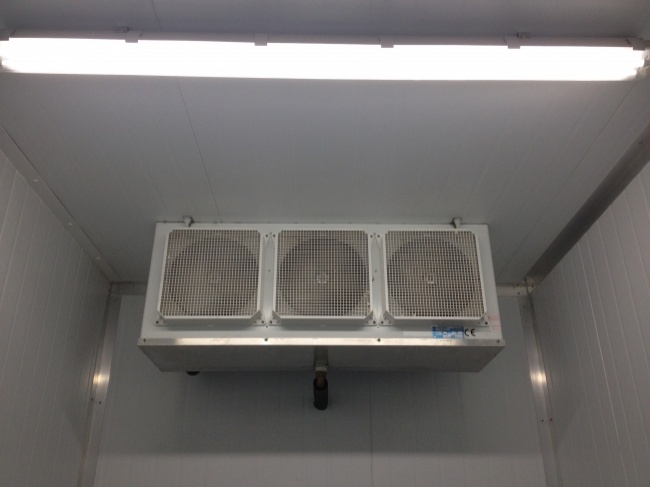 New refrigeration system installed into chiller cold room. 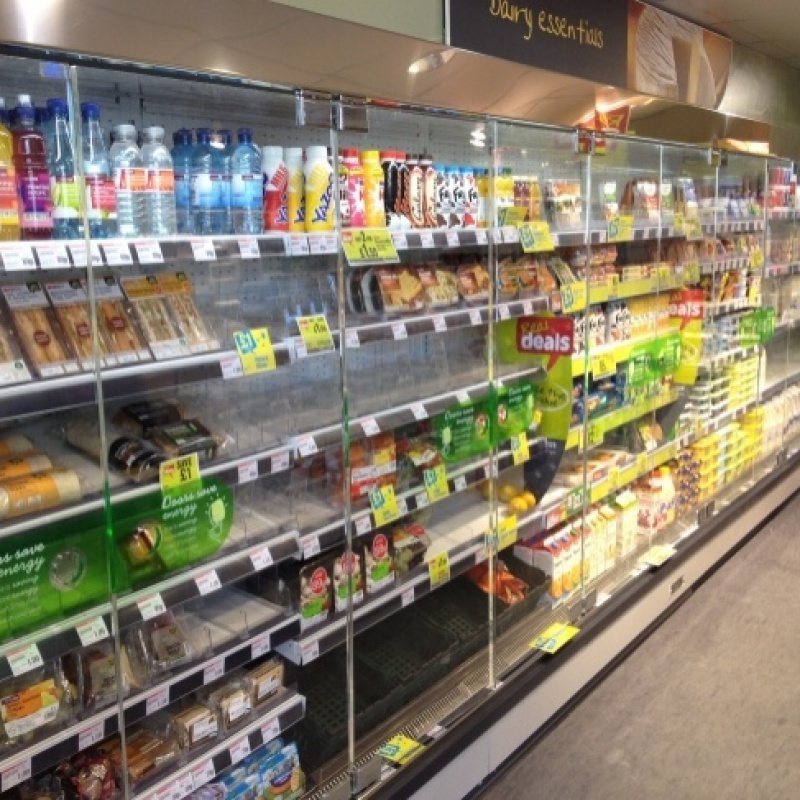 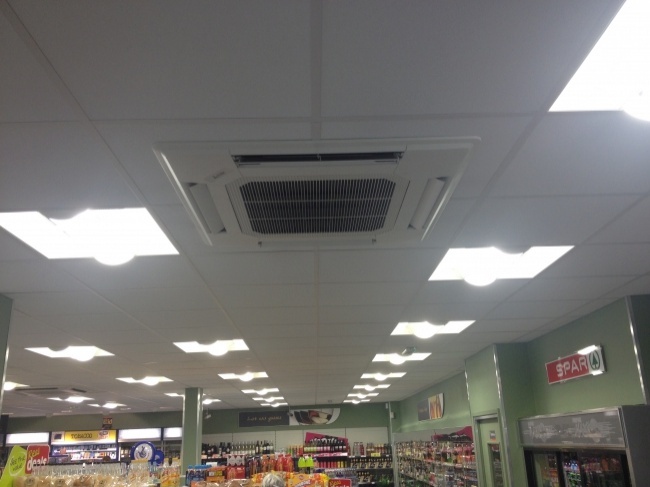 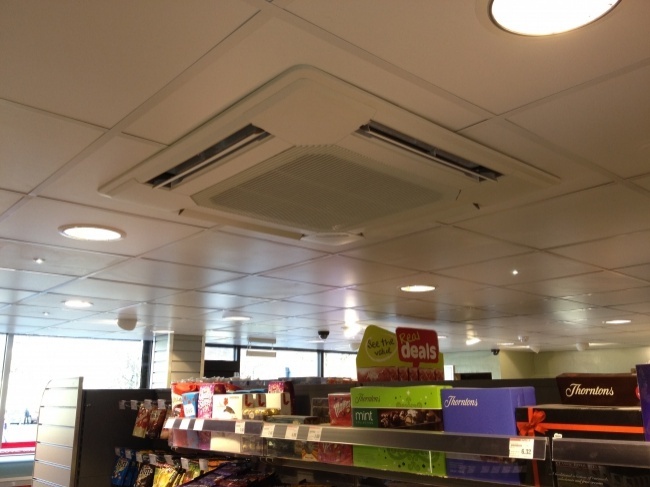 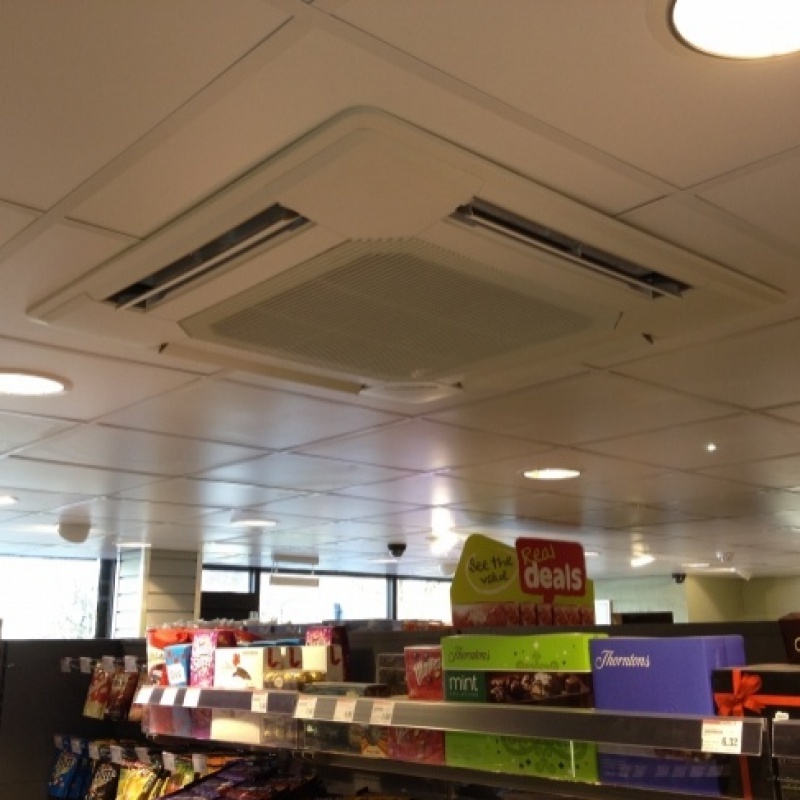 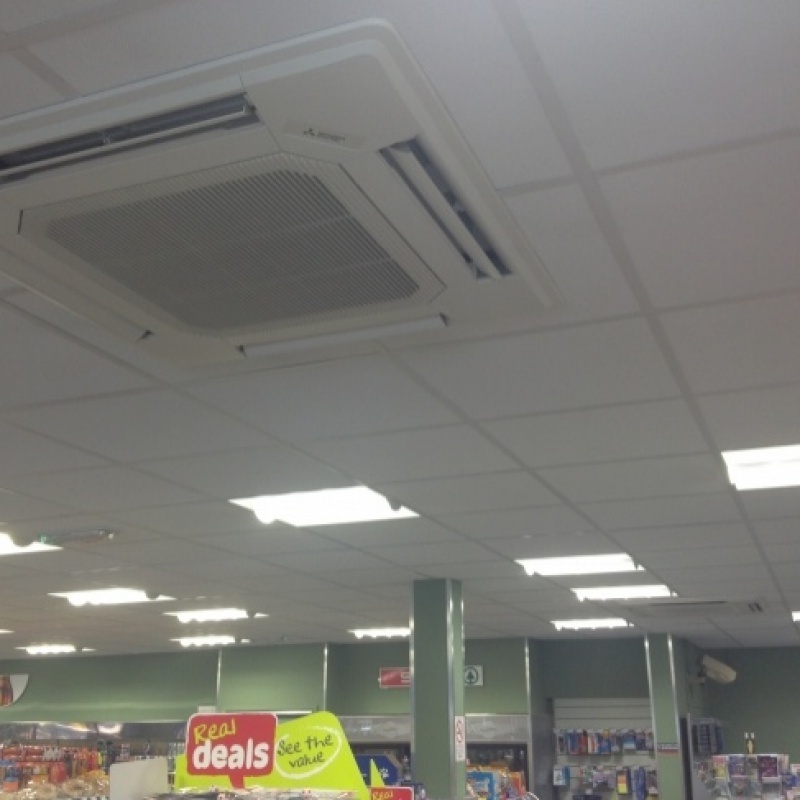 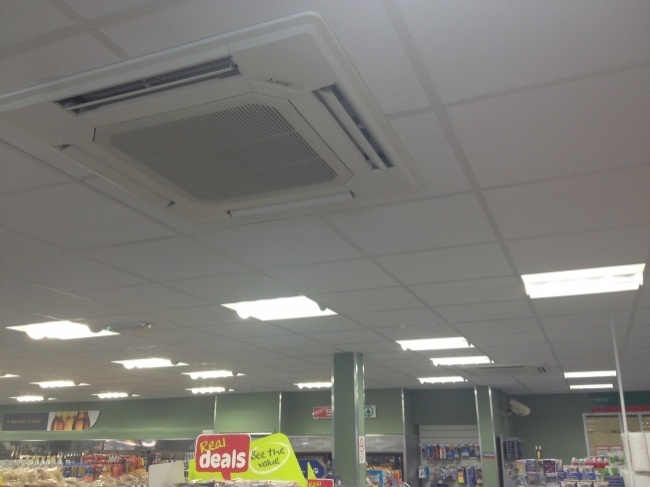 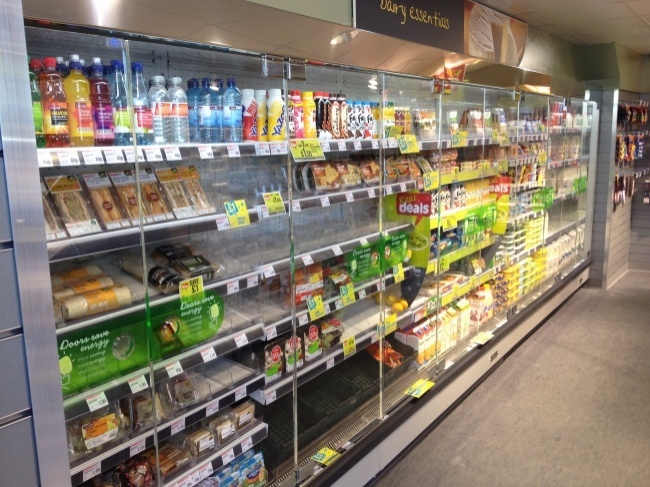 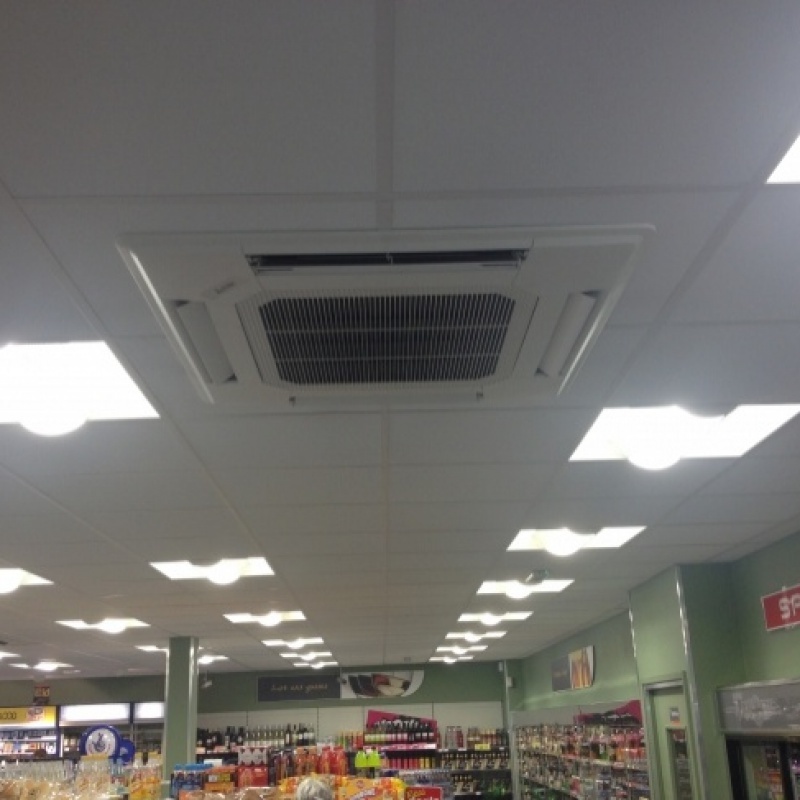 This Spar convenience in Warrington, recently had a major refit, removing older systems operating on R22 and replacing with more efficient Eis Kalt cabinets with energy doors and more suitable dc inverter driven air conditioning systems. 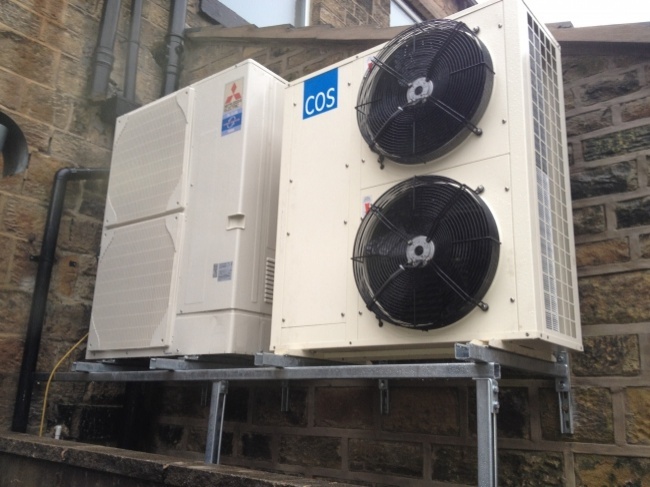 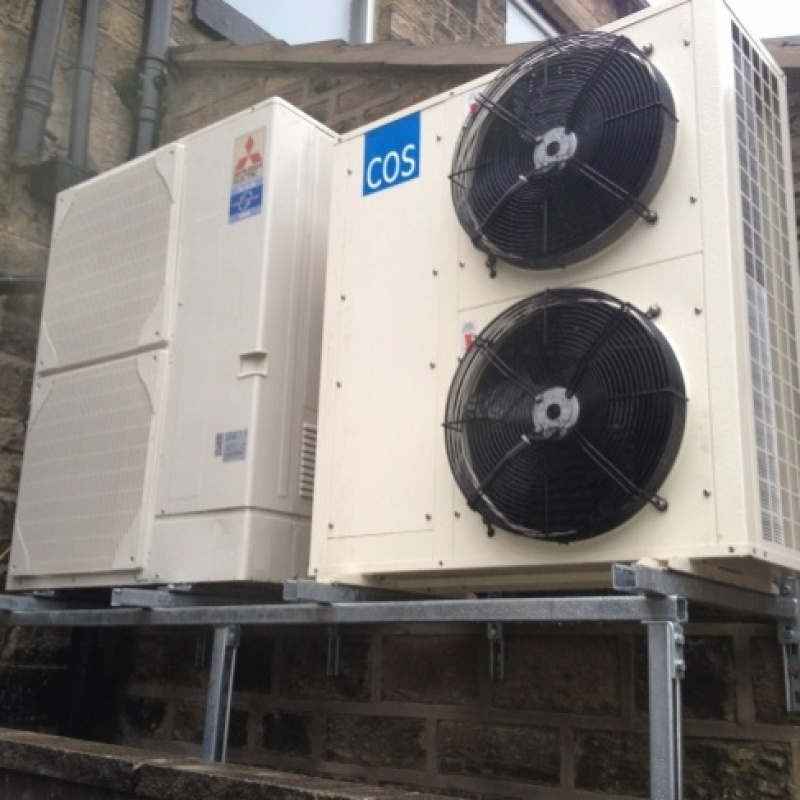 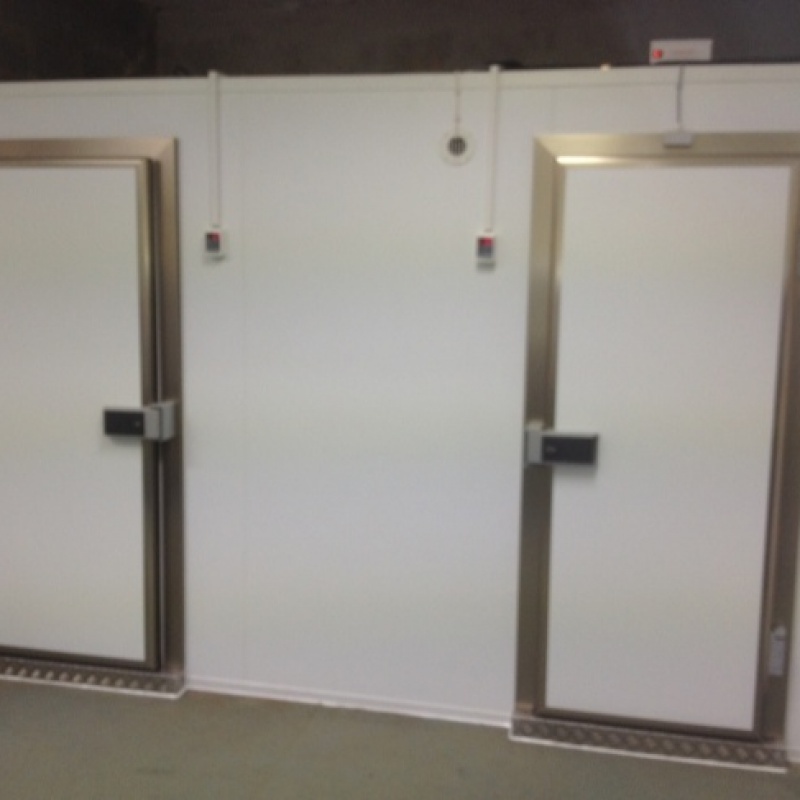 At Jubilee House based in Penrith we de-commissioned two old cold rooms alongside Cold Plan. 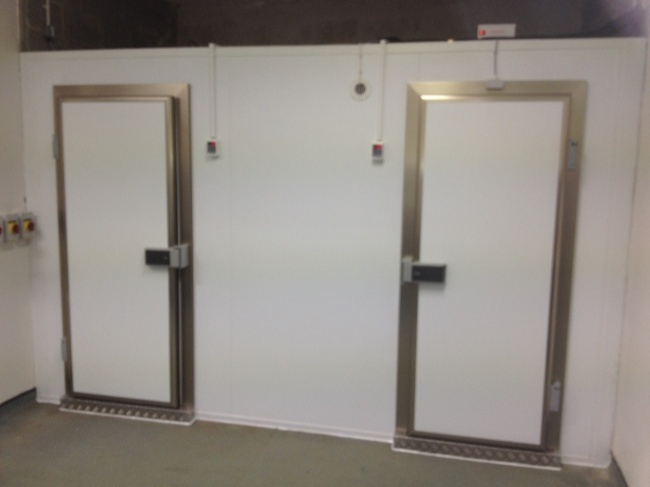 Two brand new rooms, one freezer and one chiller were installed and commissioned. 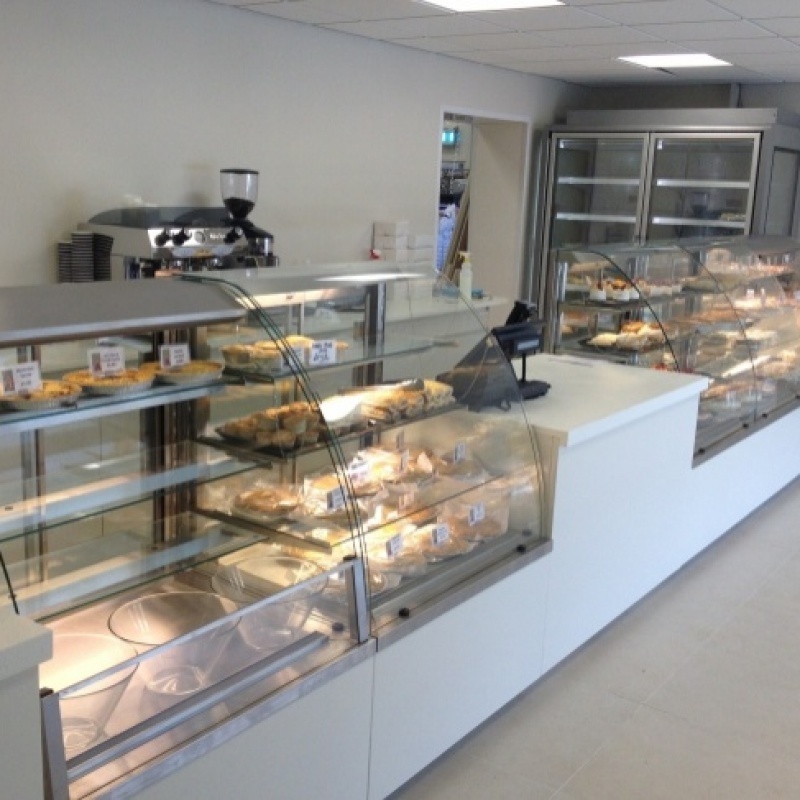 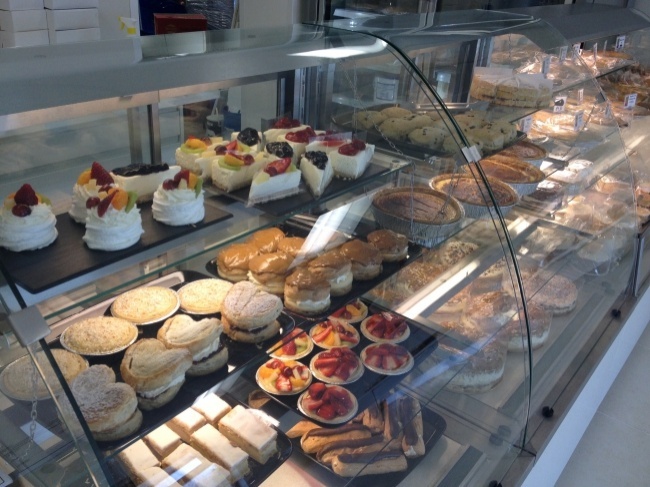 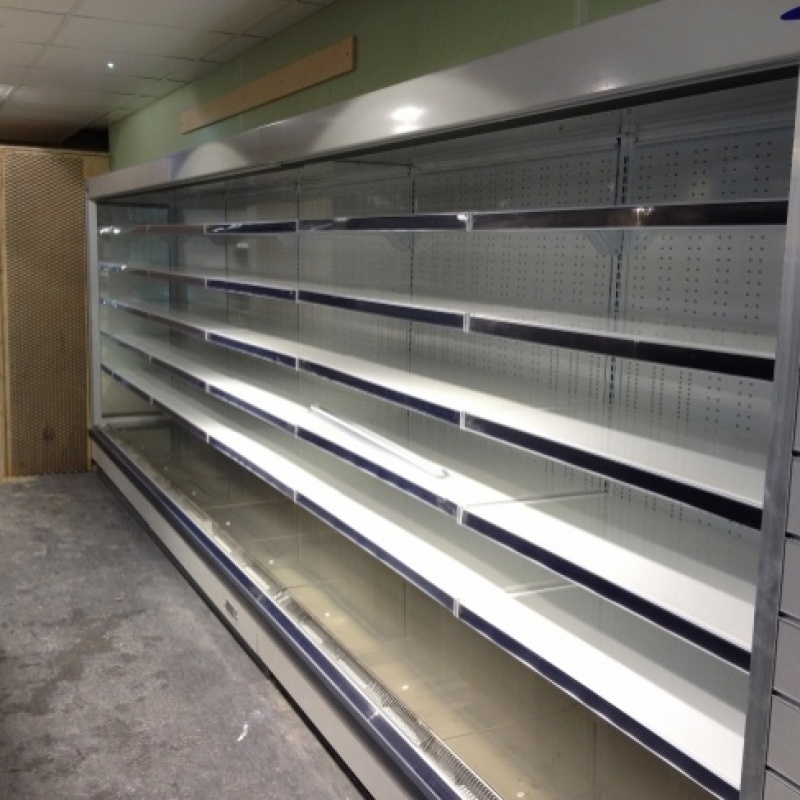 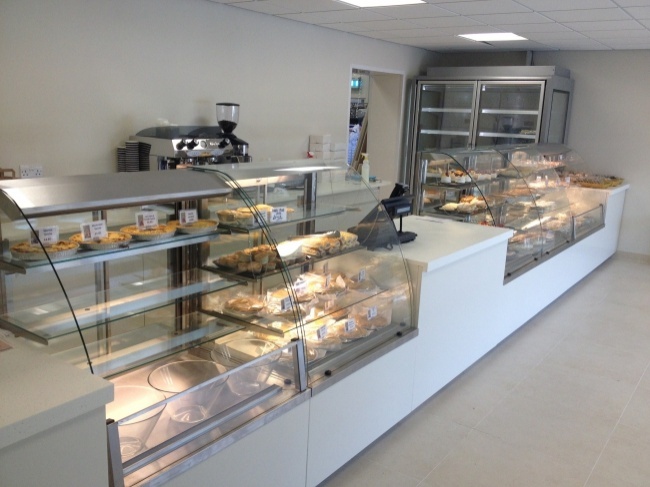 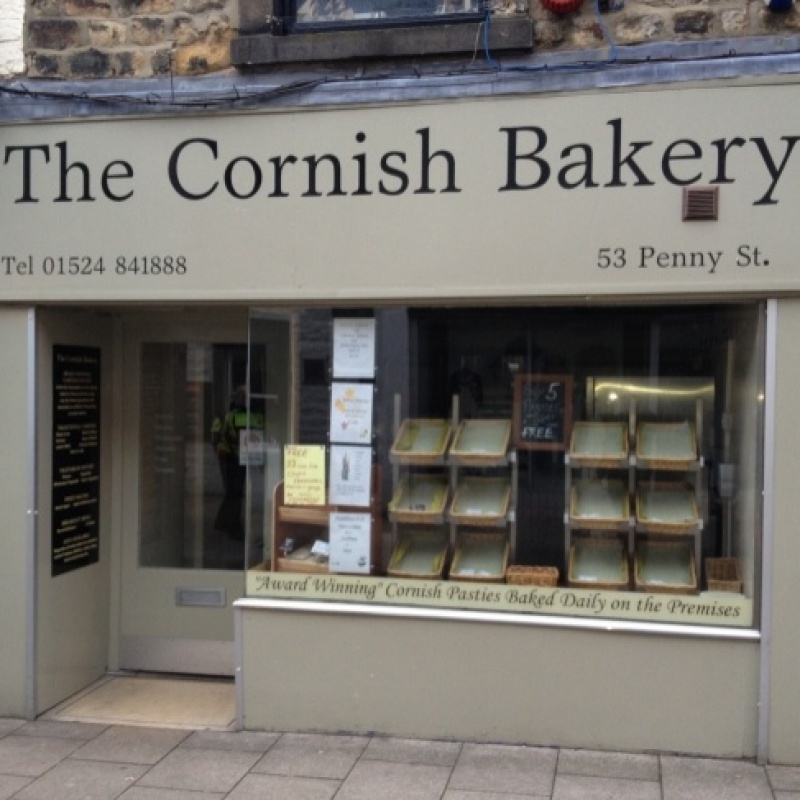 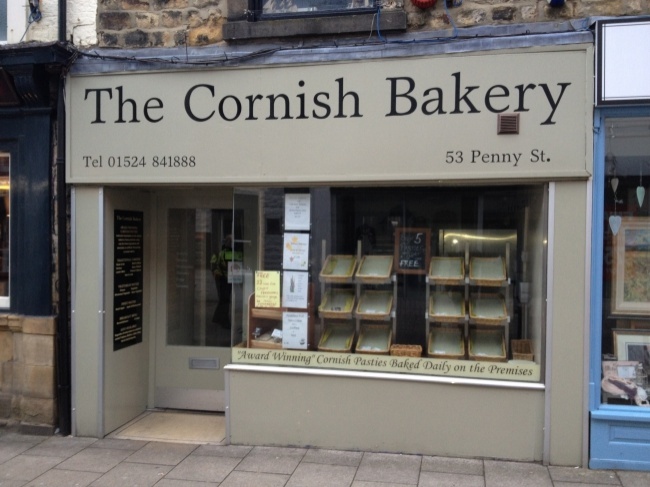 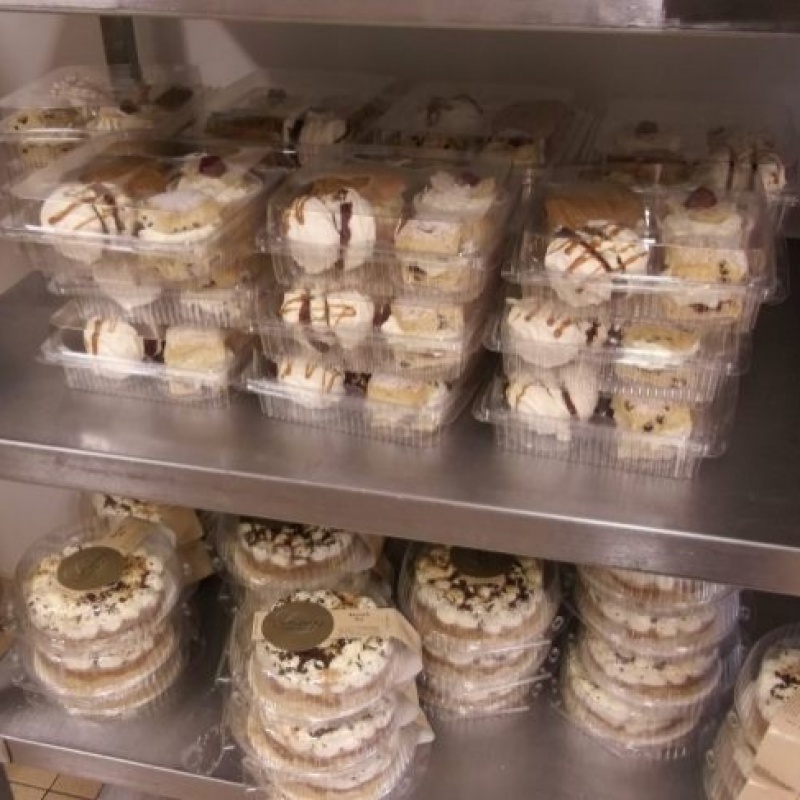 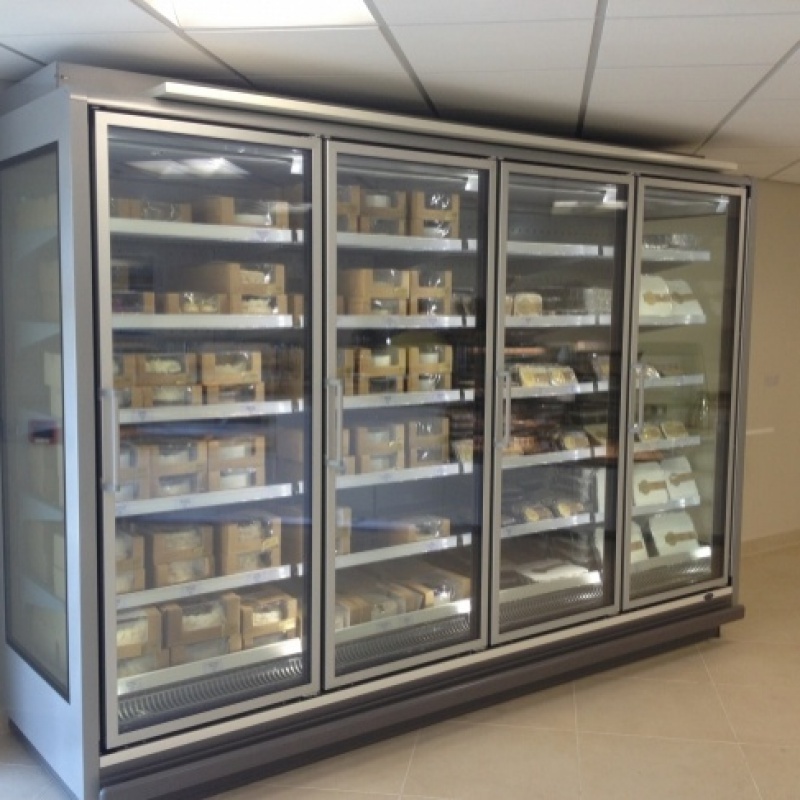 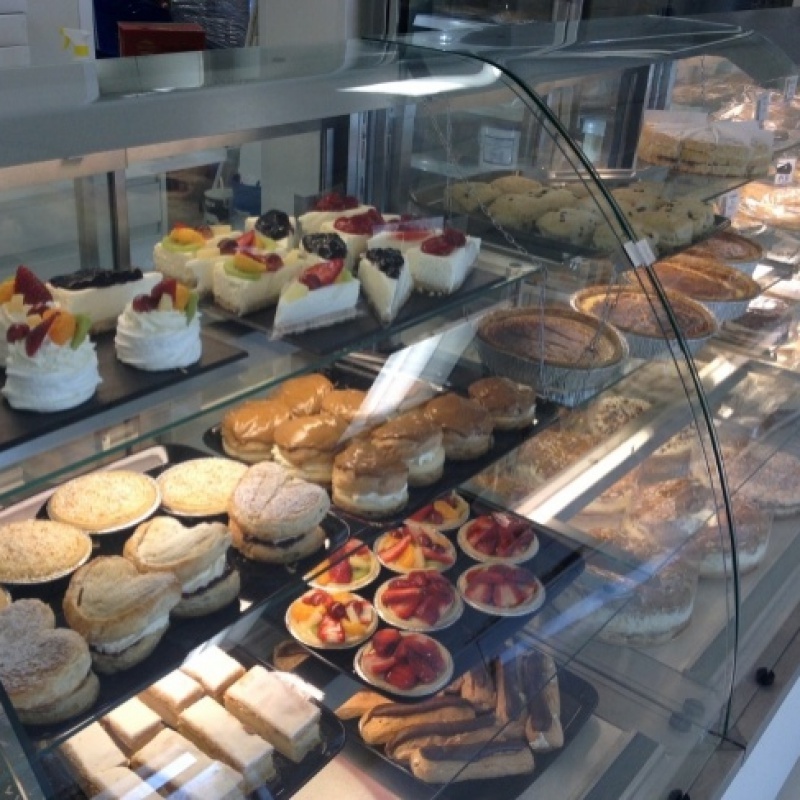 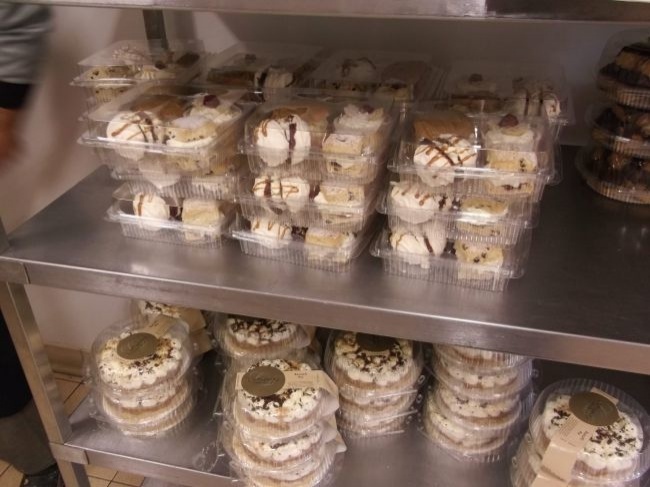 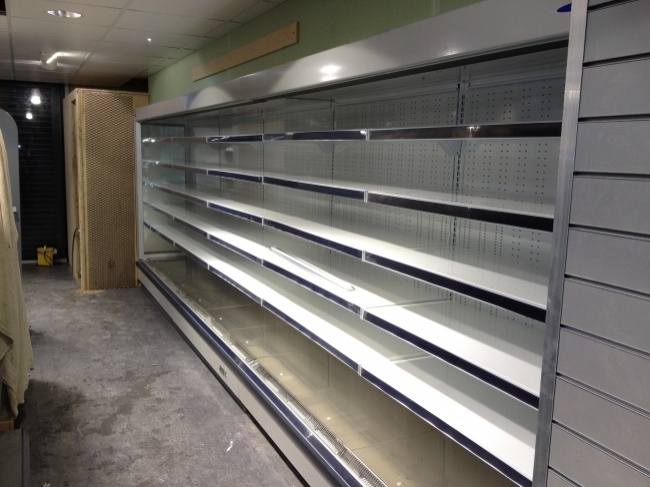 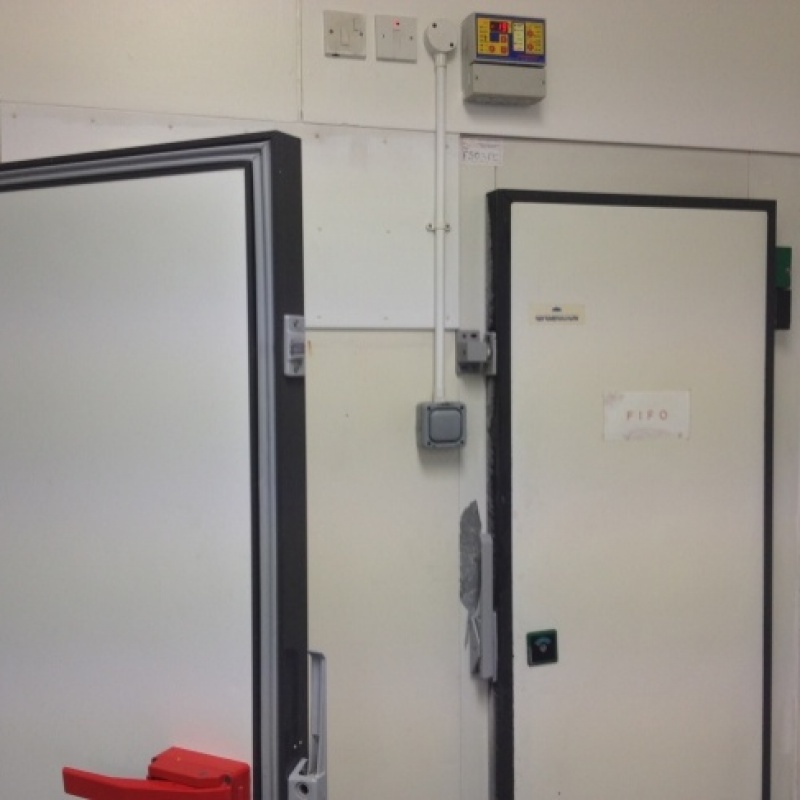 The Cornish Bakery run by Jacquie and Kelvin decided to increase customer capacity by utilising an internal room for customers and locating a new freezer cold room at the rear of their premises. 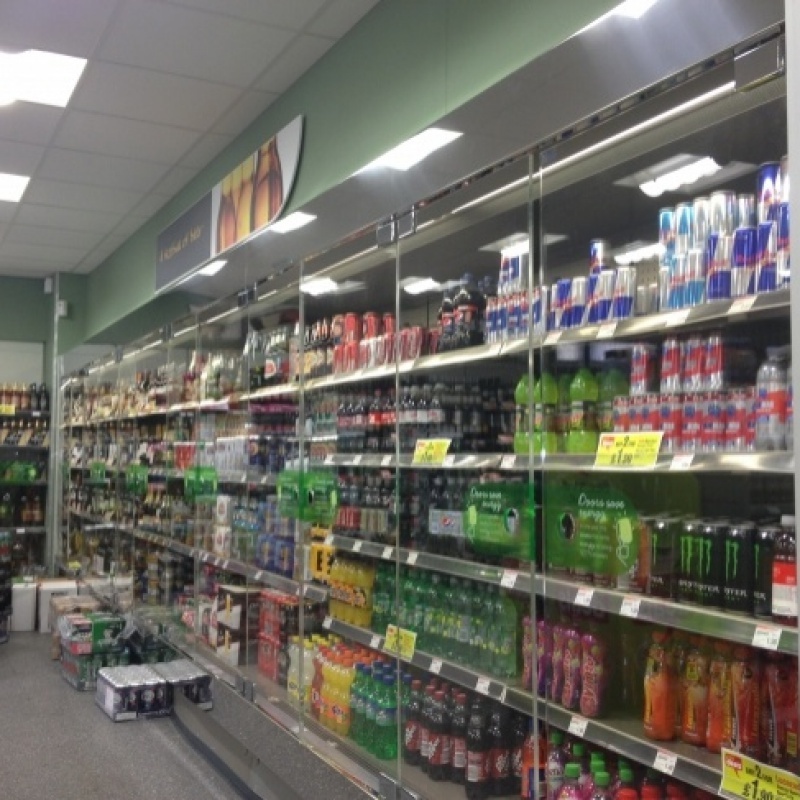 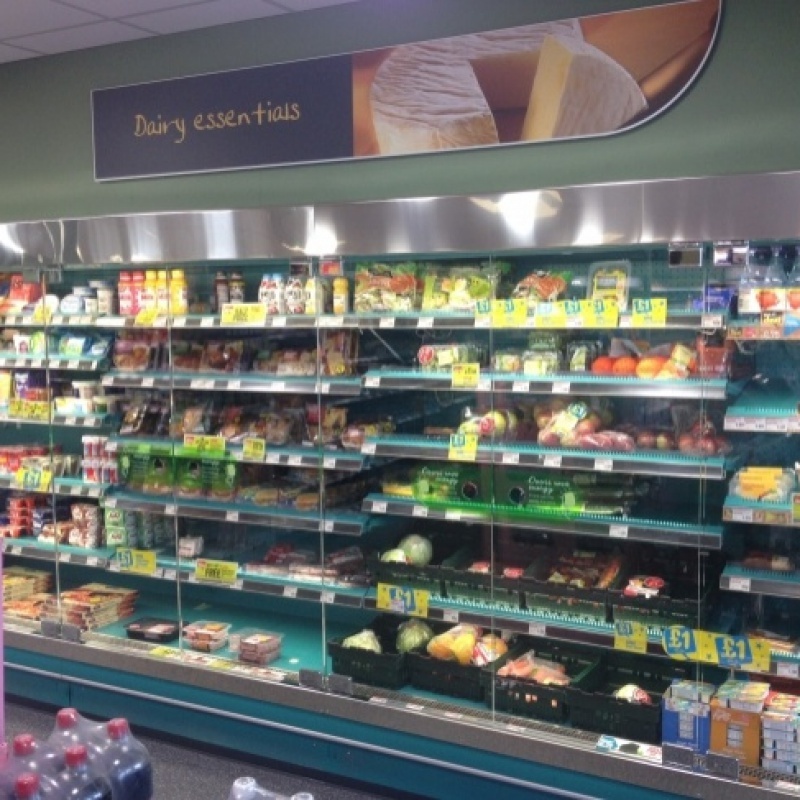 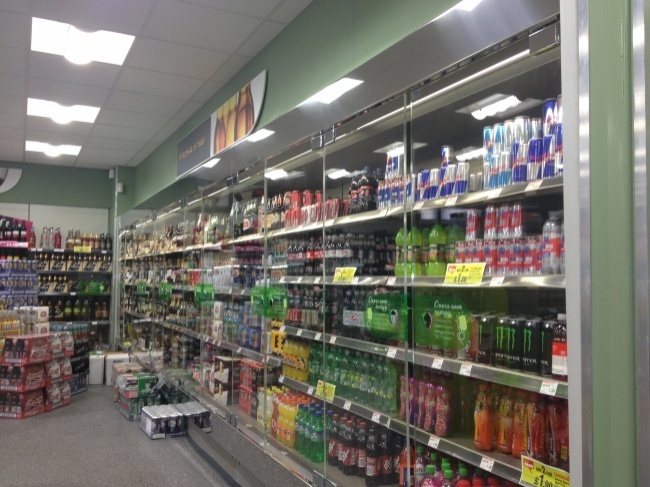 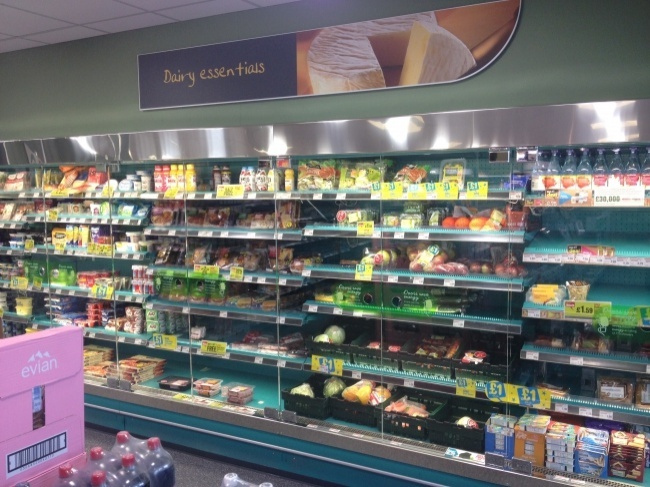 This spar store located in west Yorkshire was expanded by 100%. 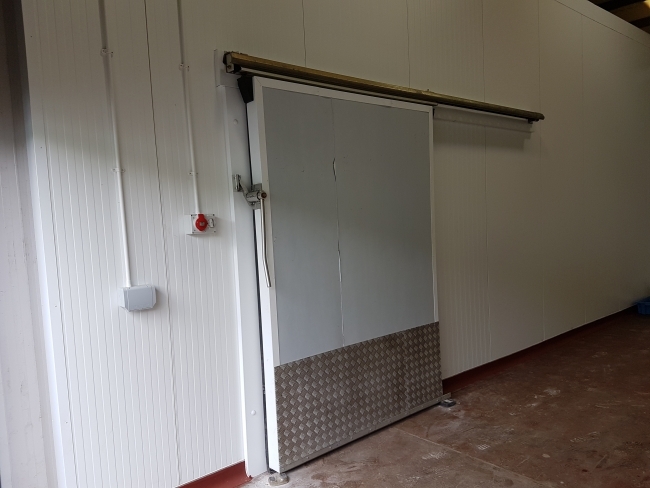 We were contacted to provide assistance to install 7.5m of Eis Kalt dairy case with energy efficient doors, integral freezer cabinets and two 14kw air conditioning systems. 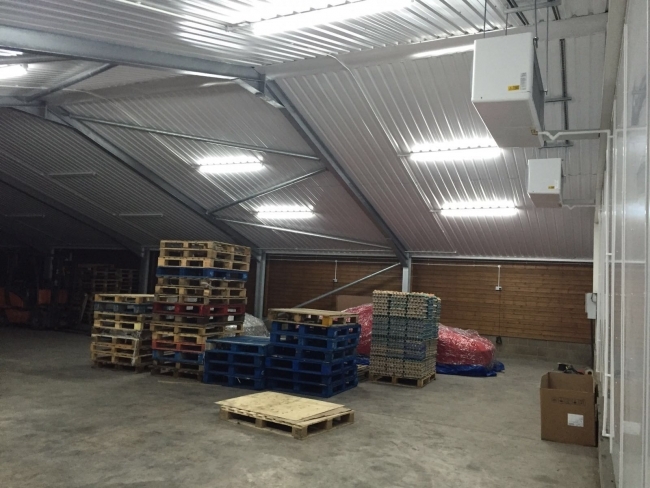 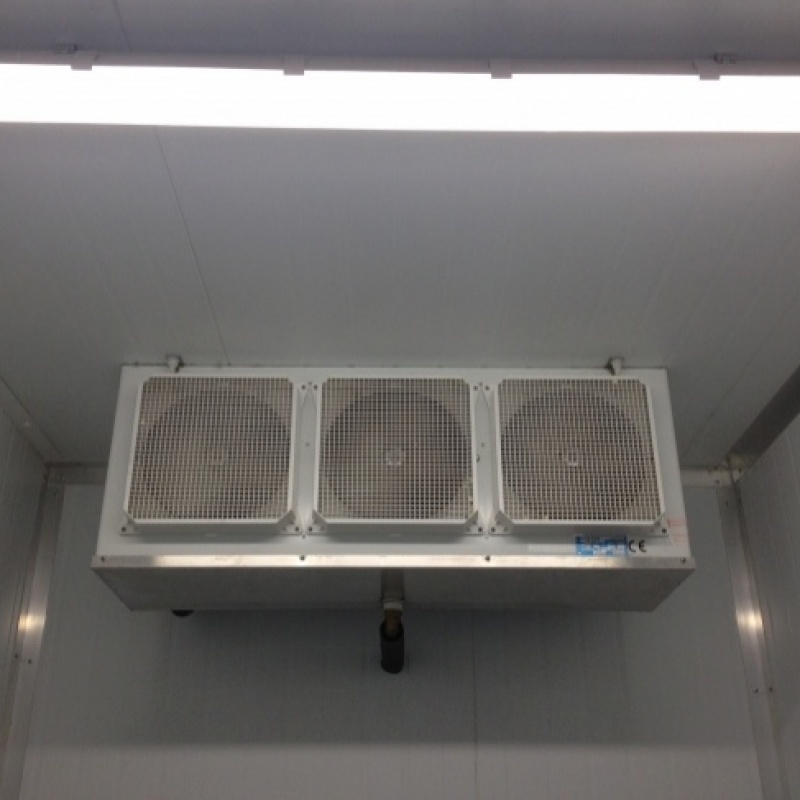 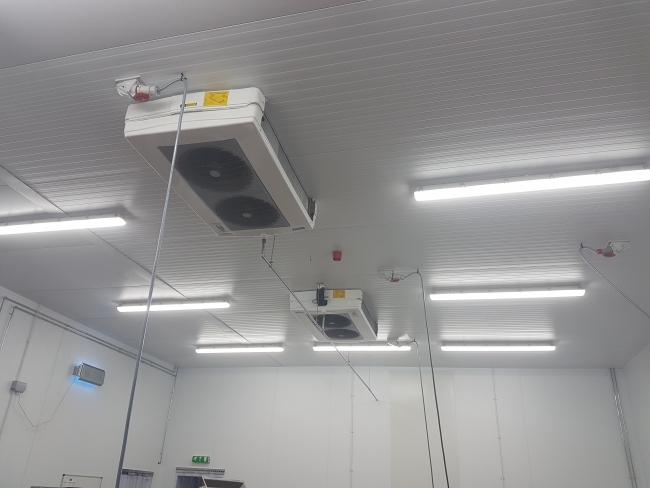 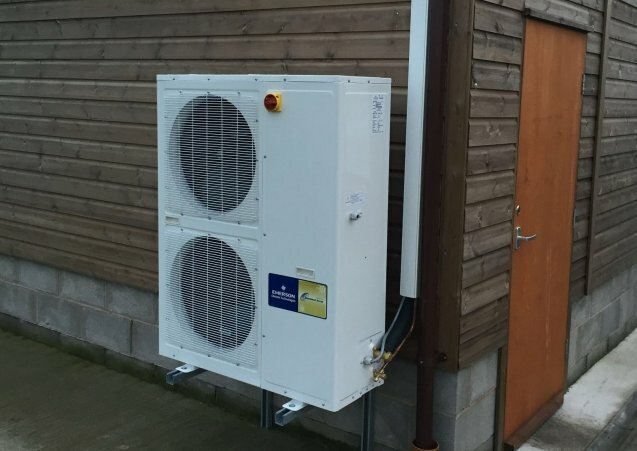 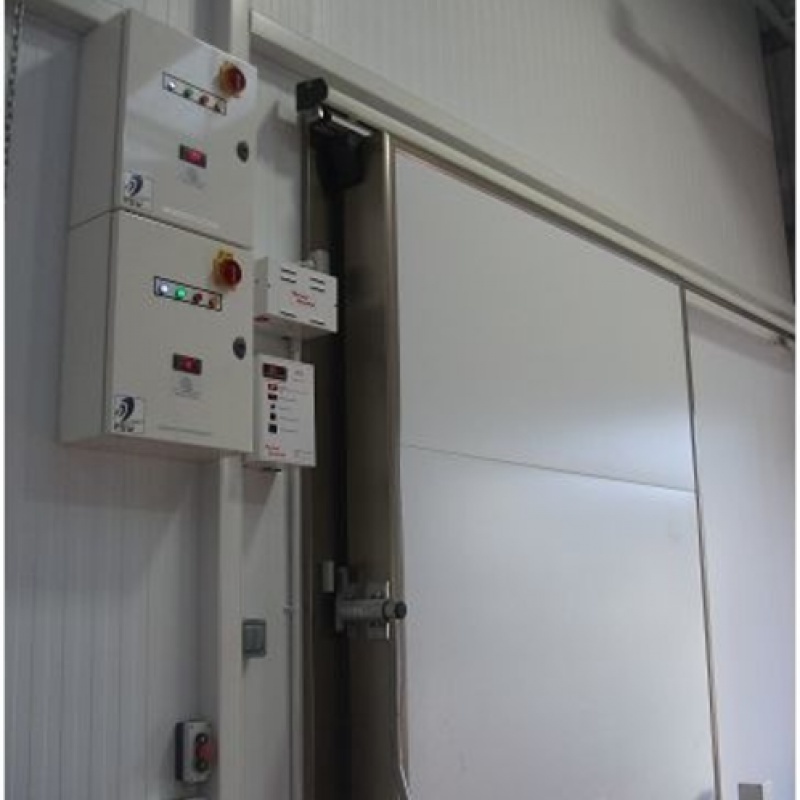 This chiller coldroom was commissioned in the spring of 2012 to accommodate windsor foods preperation section located at Castle Donnington one of the UK's leading food service providers. 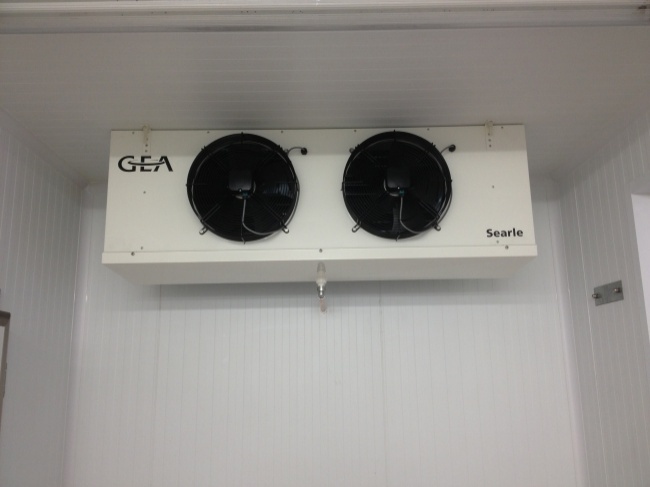 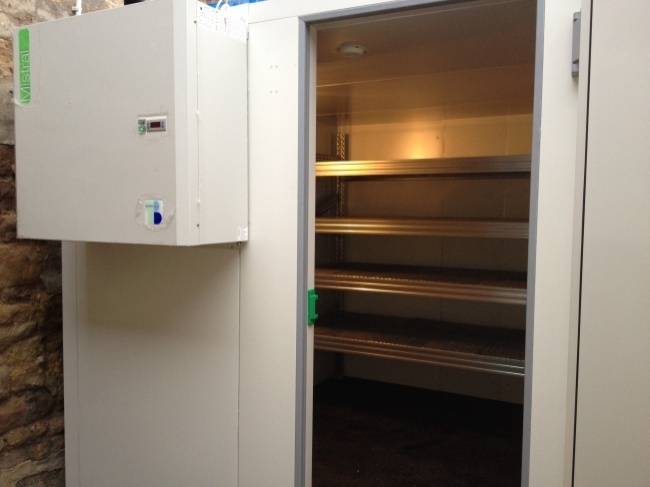 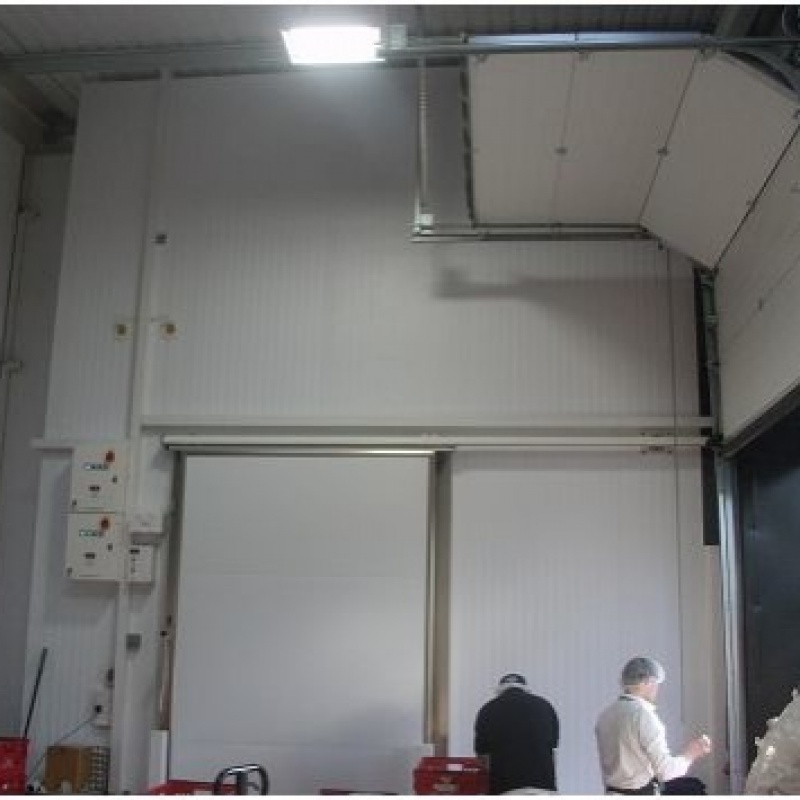 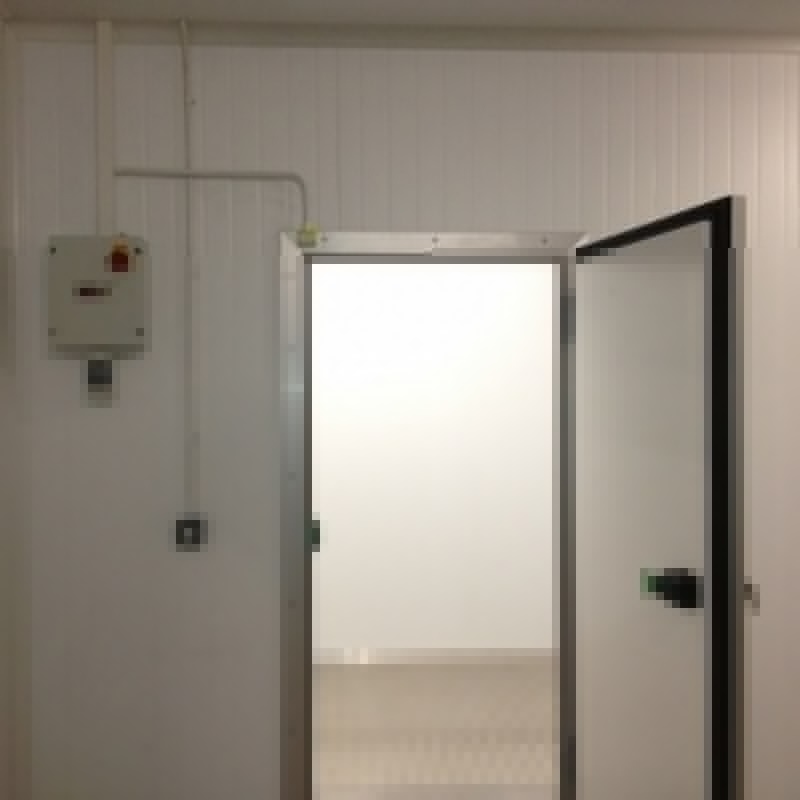 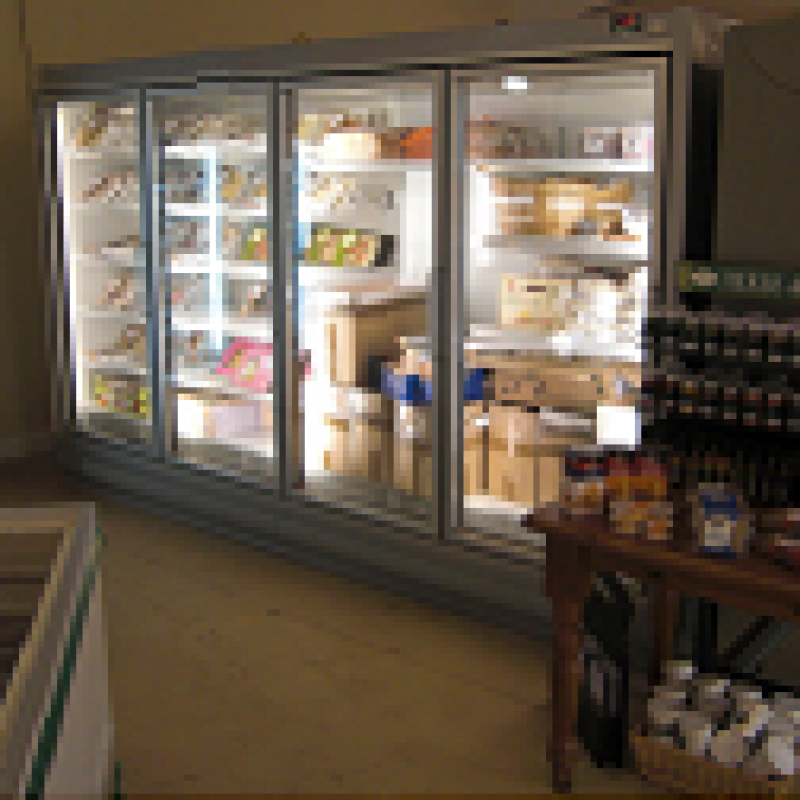 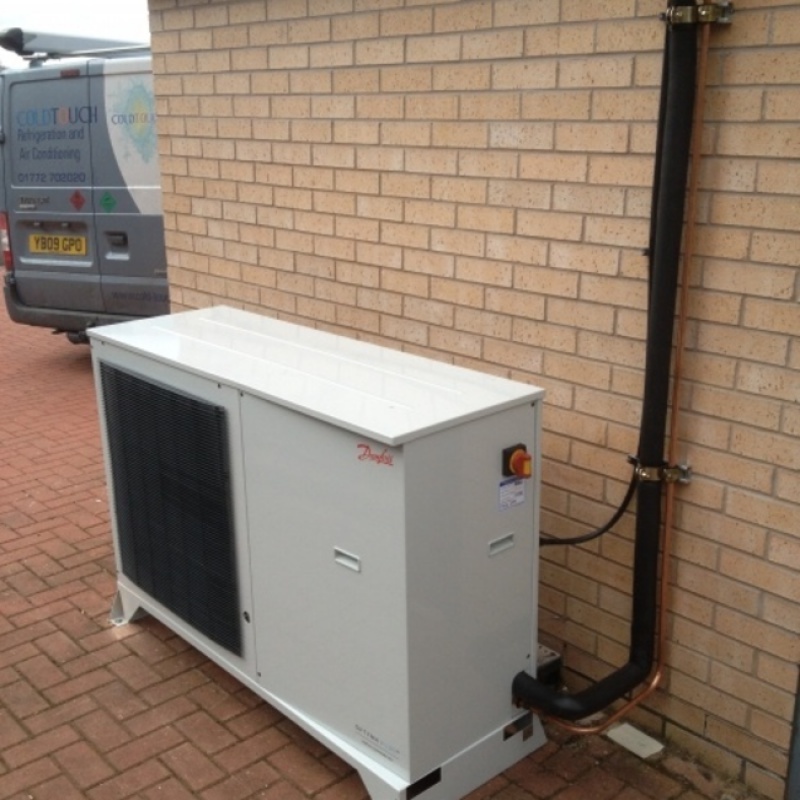 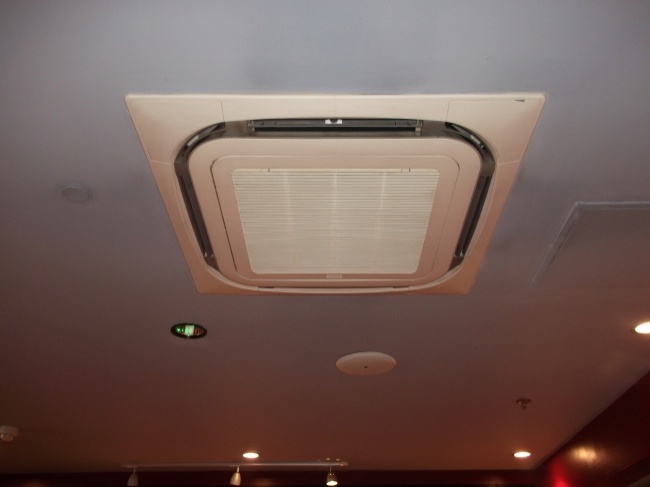 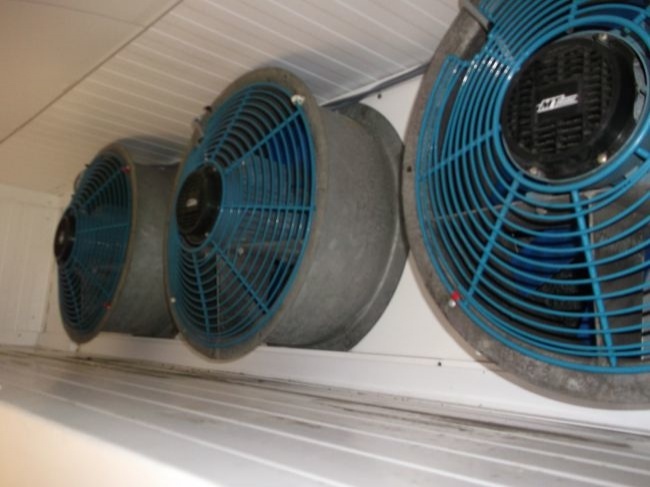 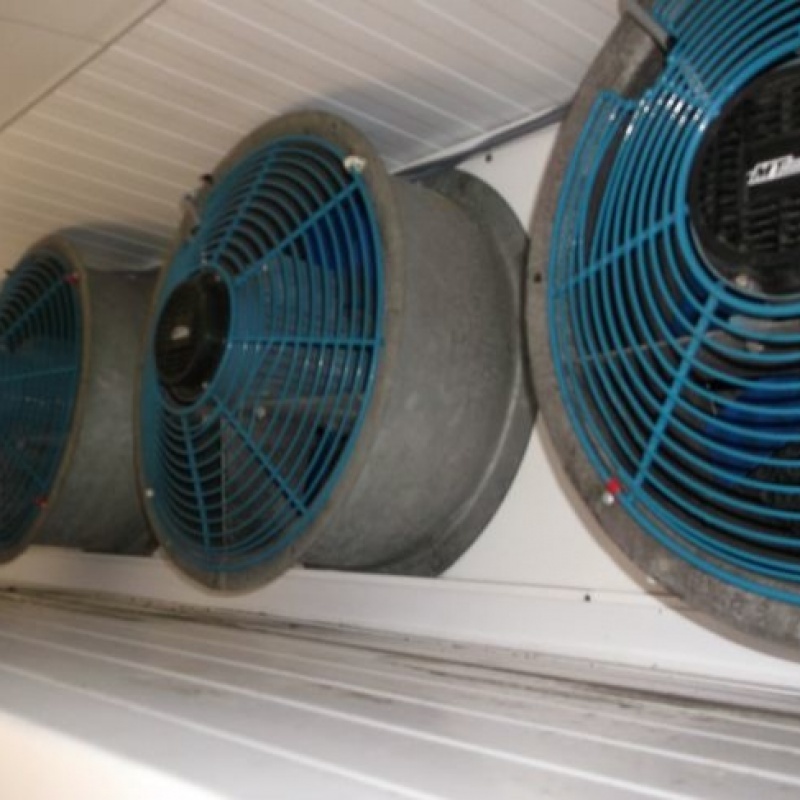 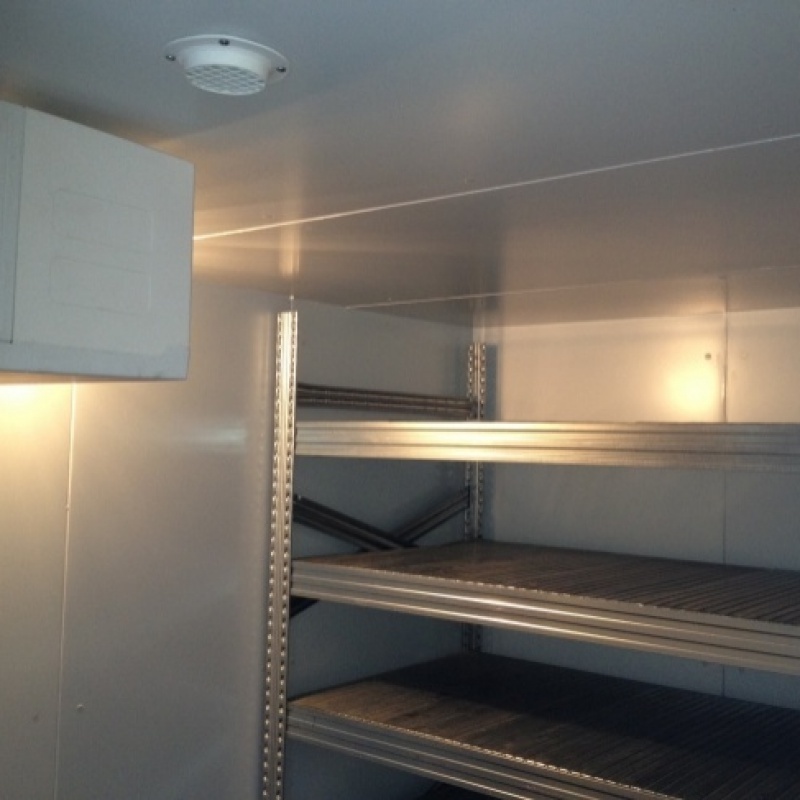 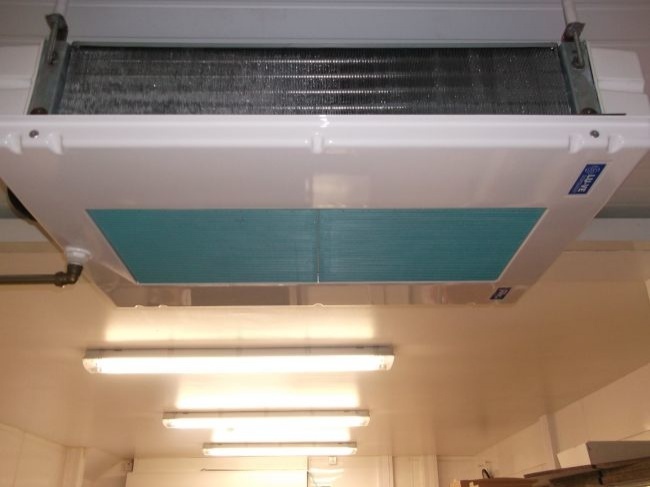 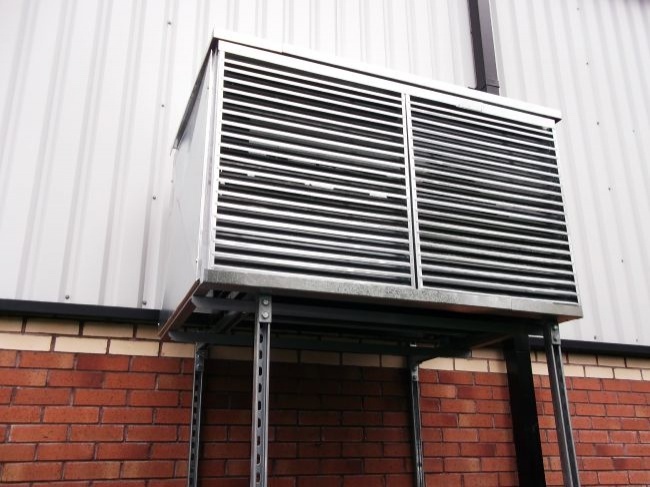 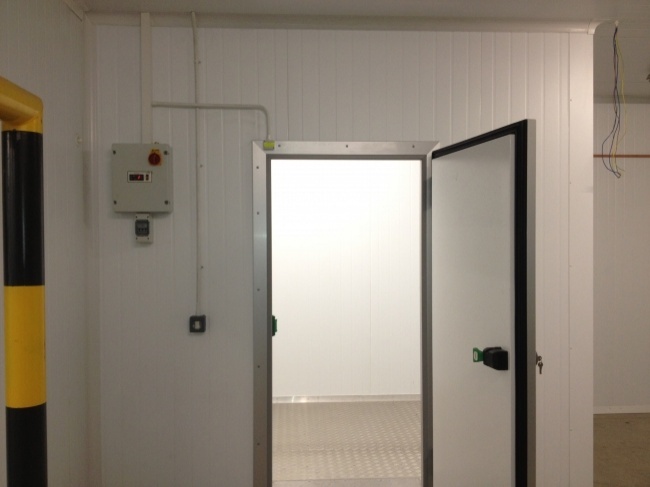 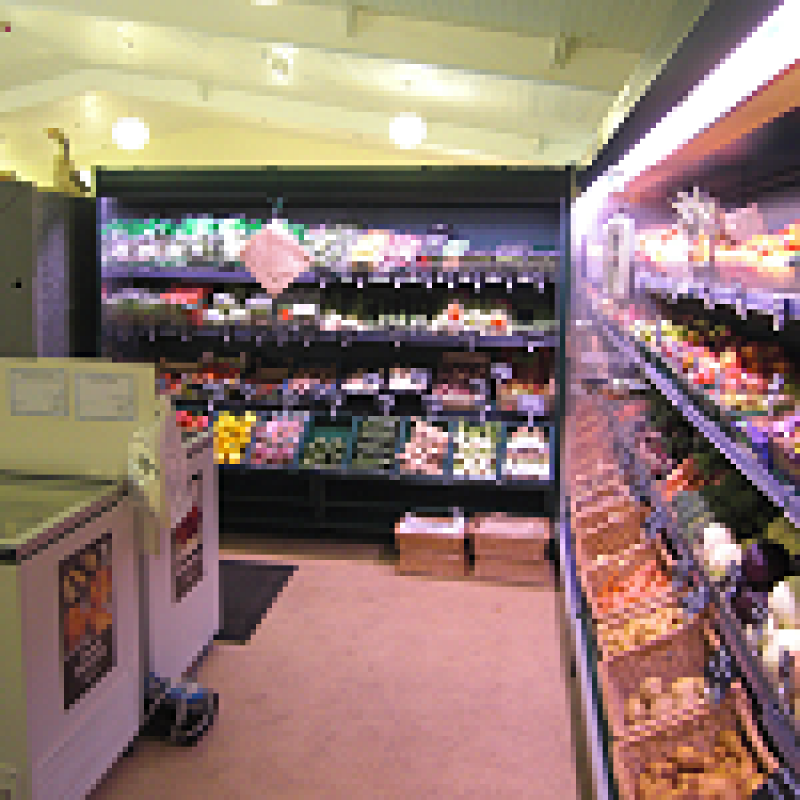 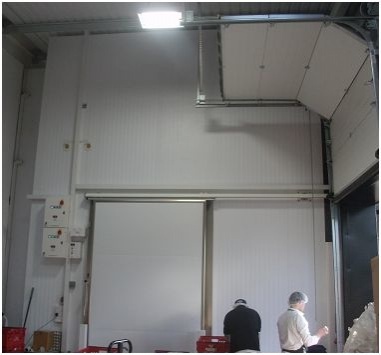 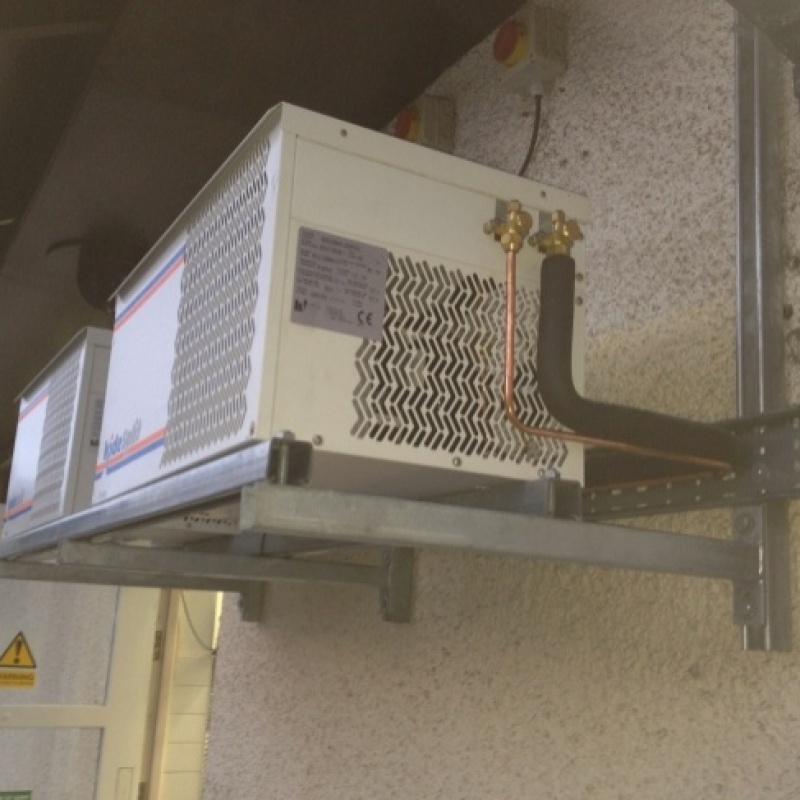 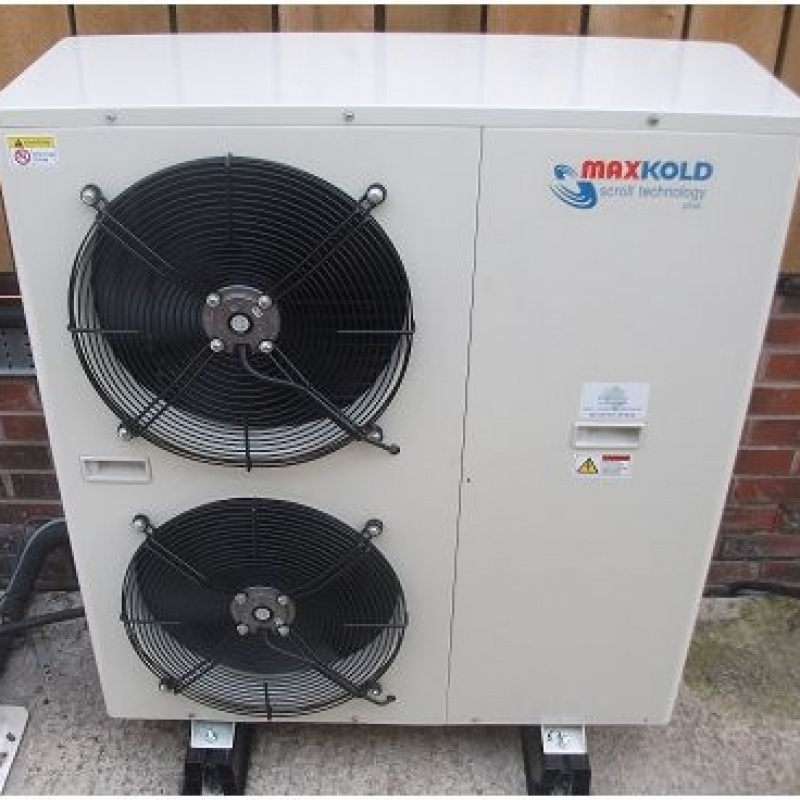 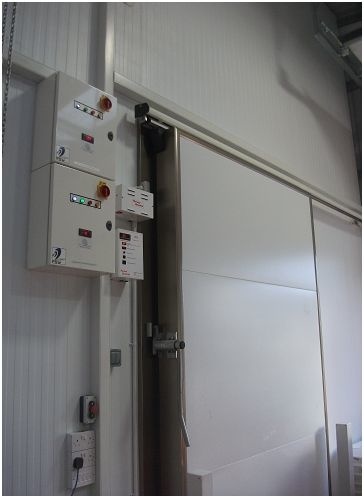 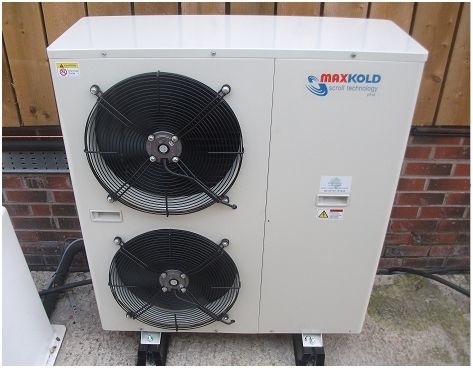 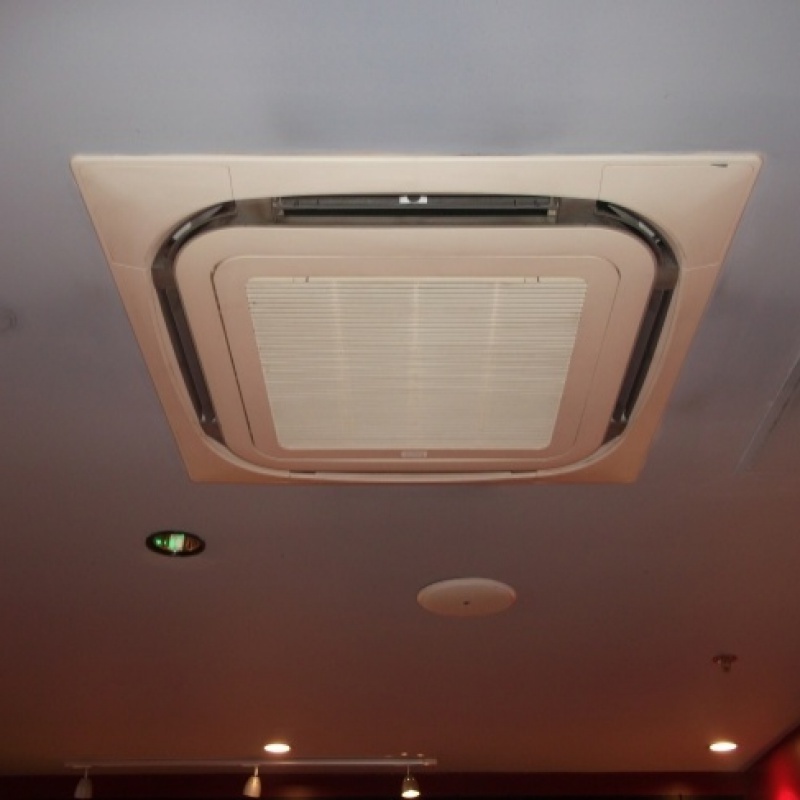 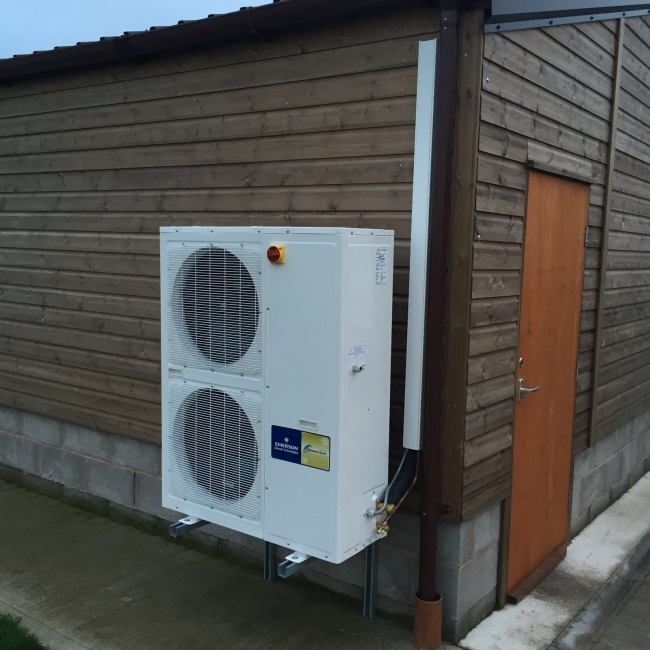 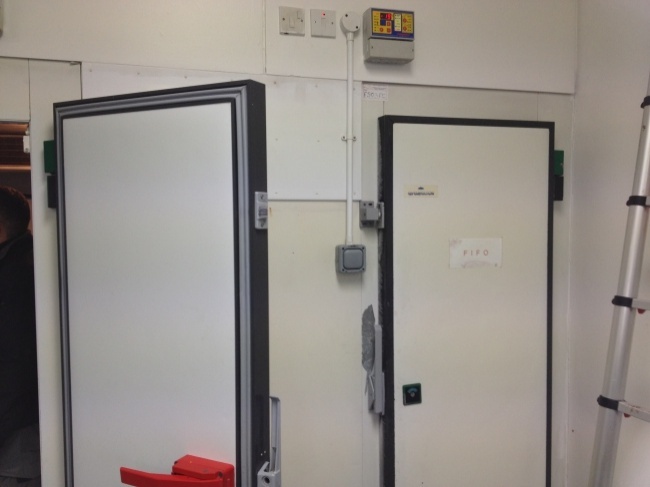 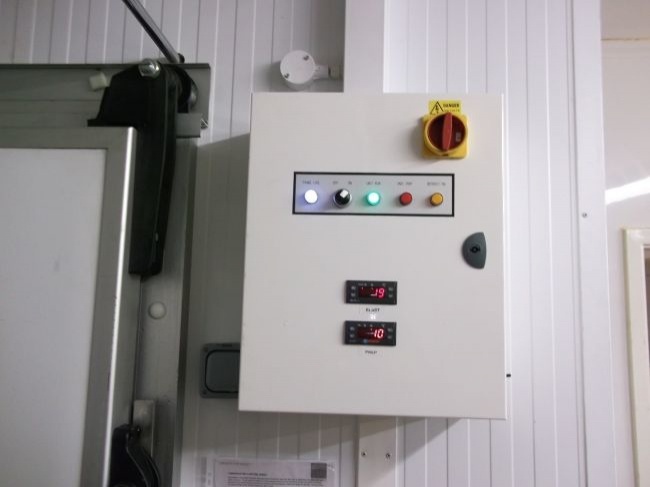 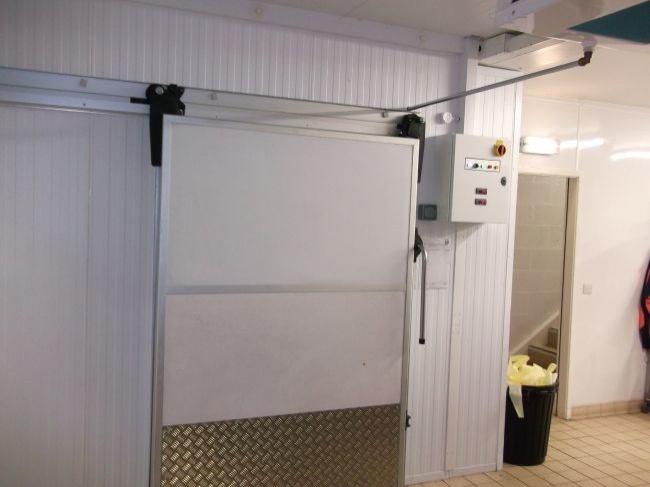 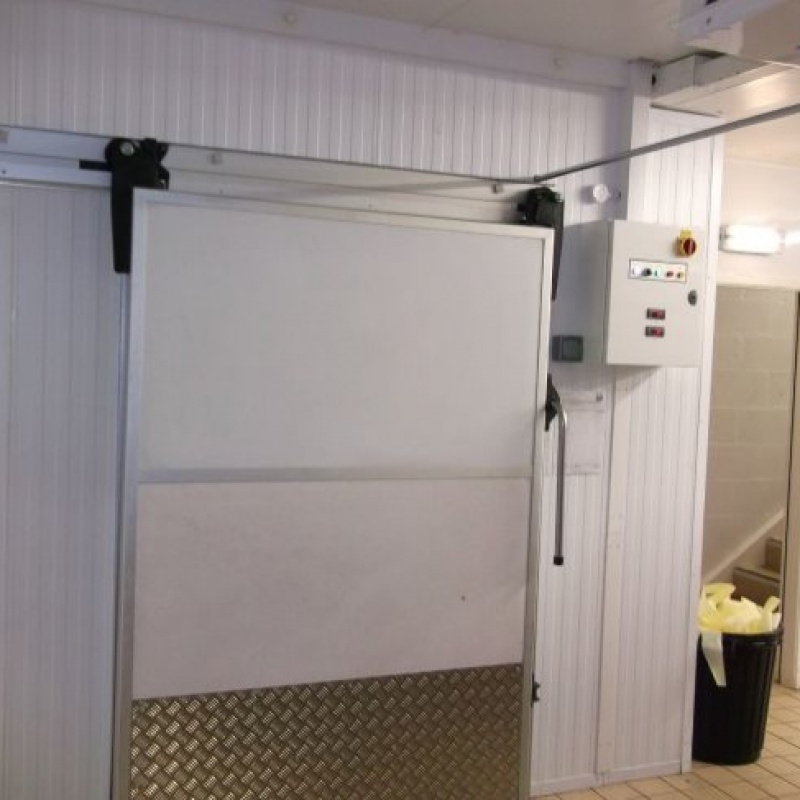 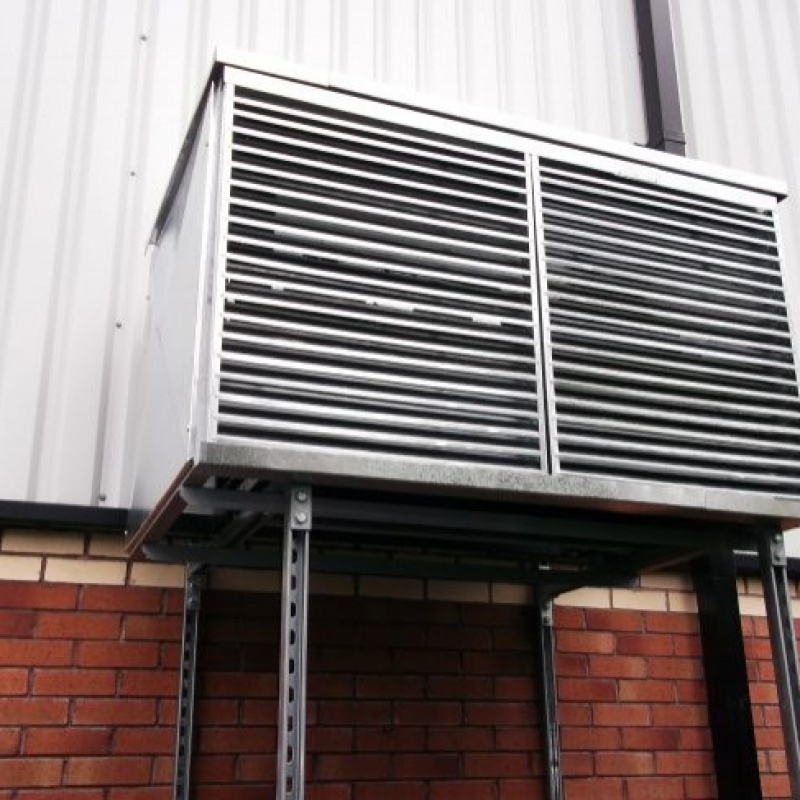 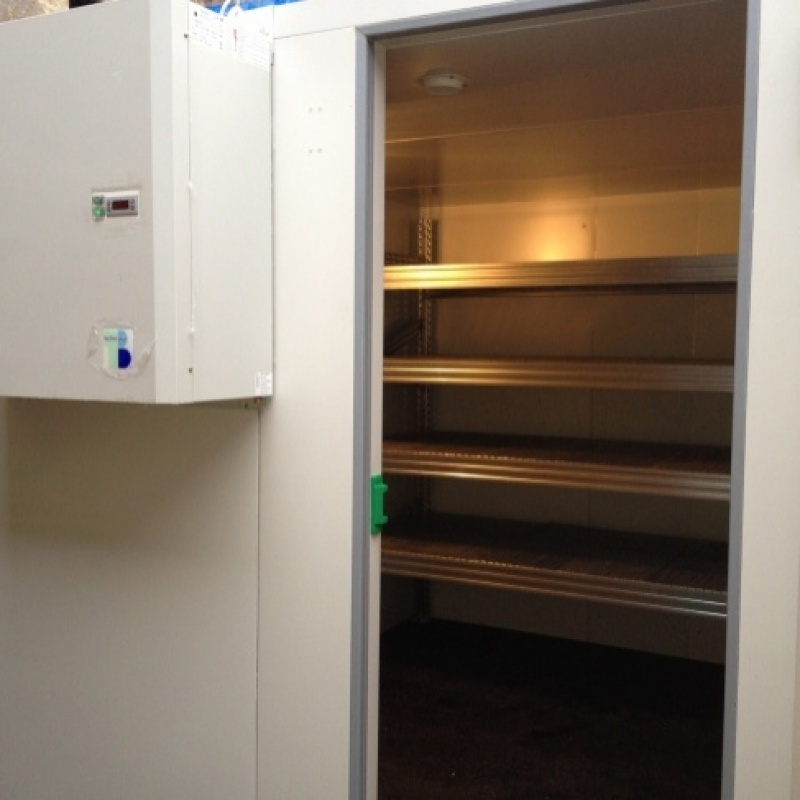 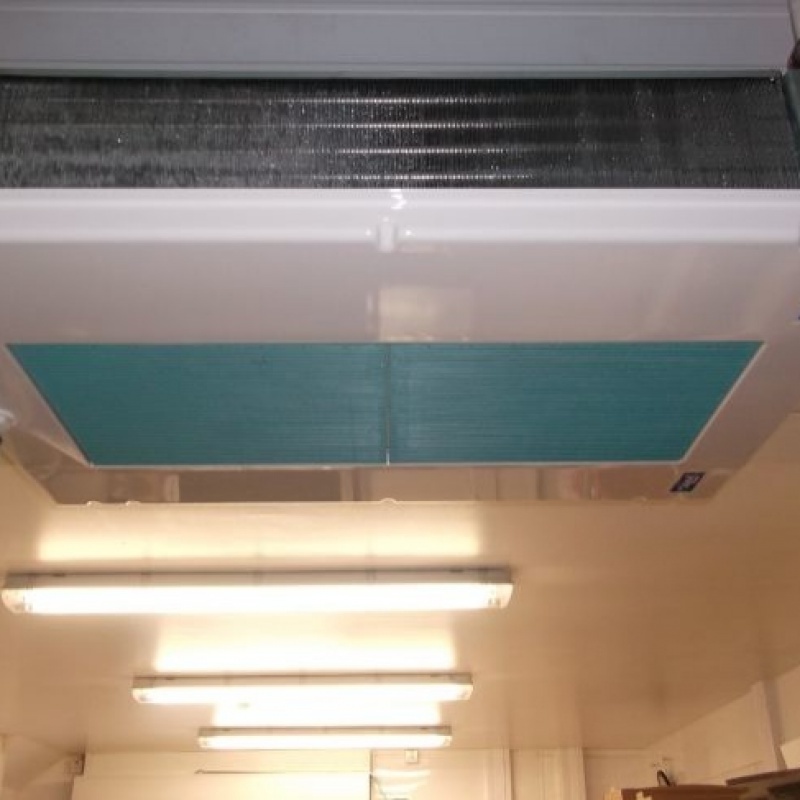 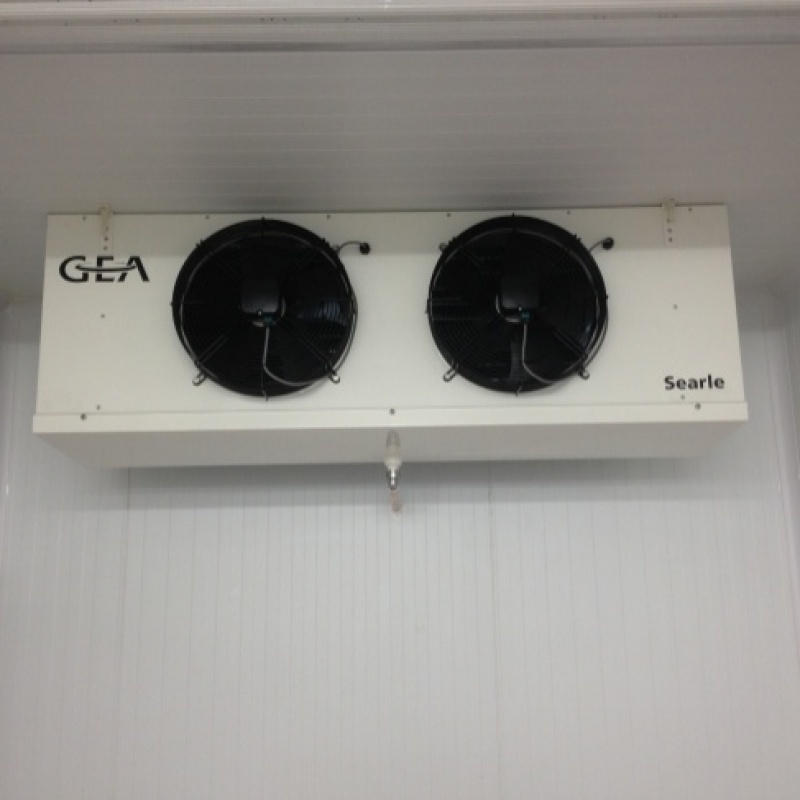 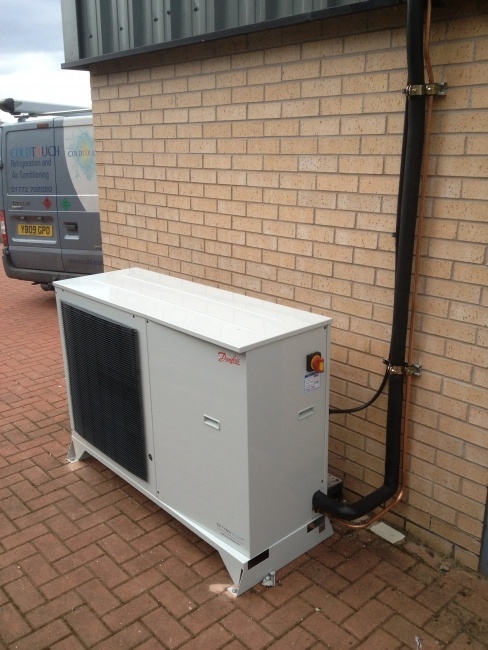 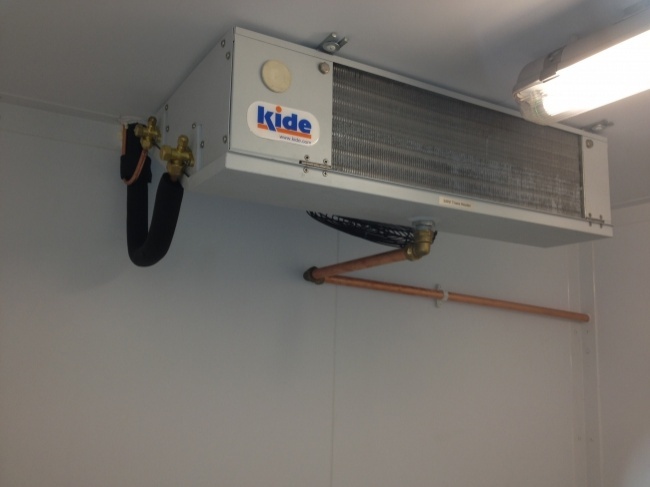 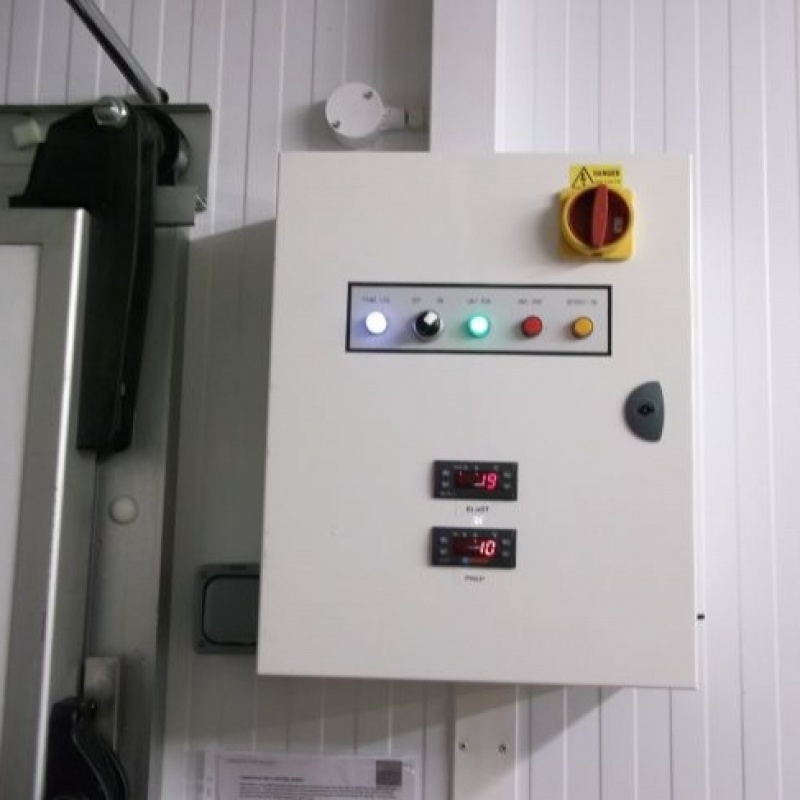 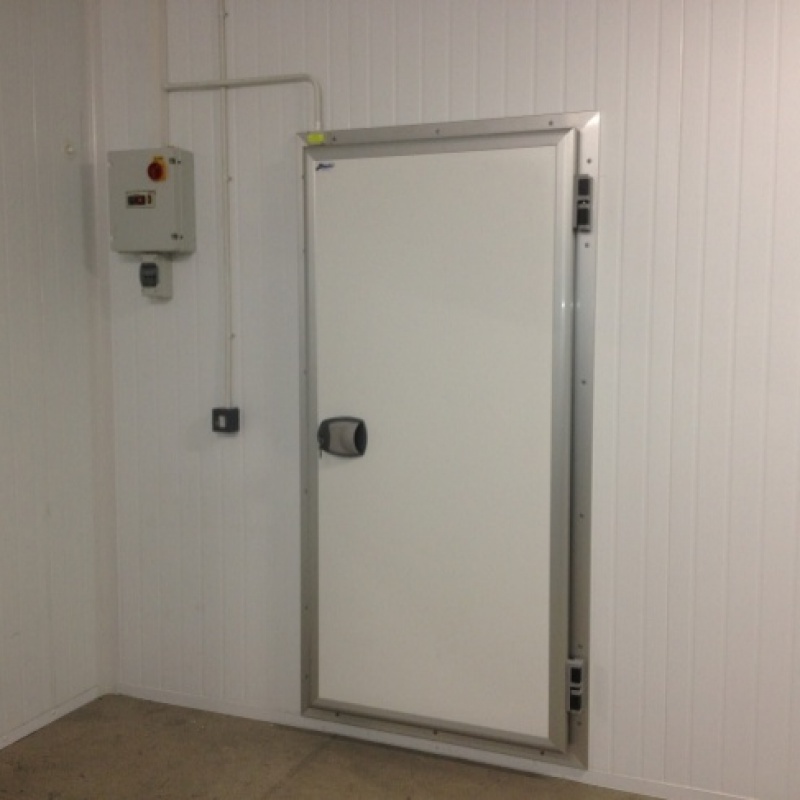 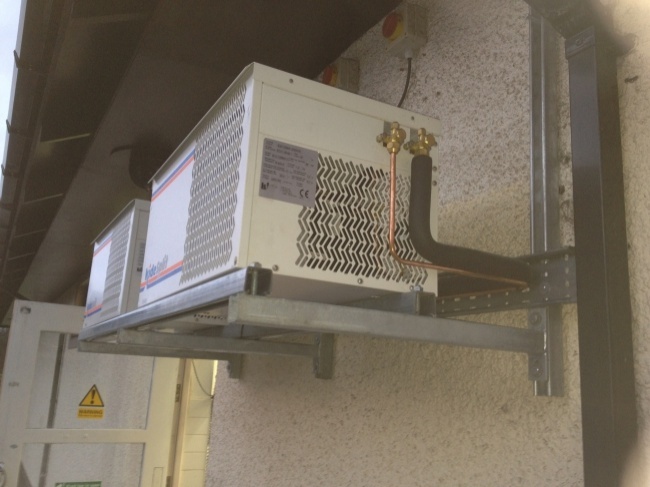 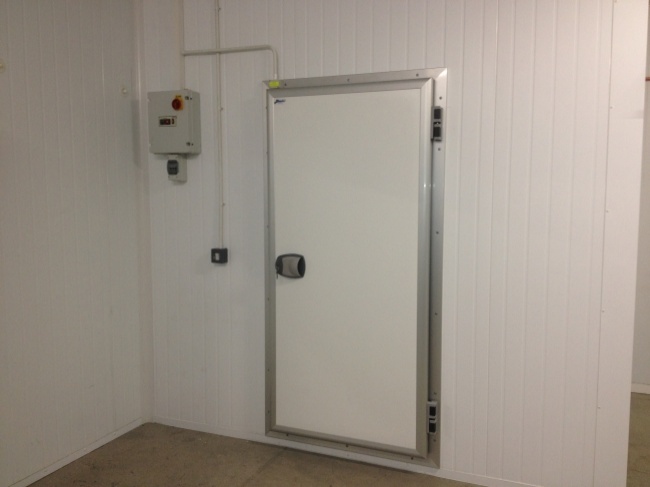 Richard Latham contacted us at the start of 2011 to Install one blast freezer cold room. 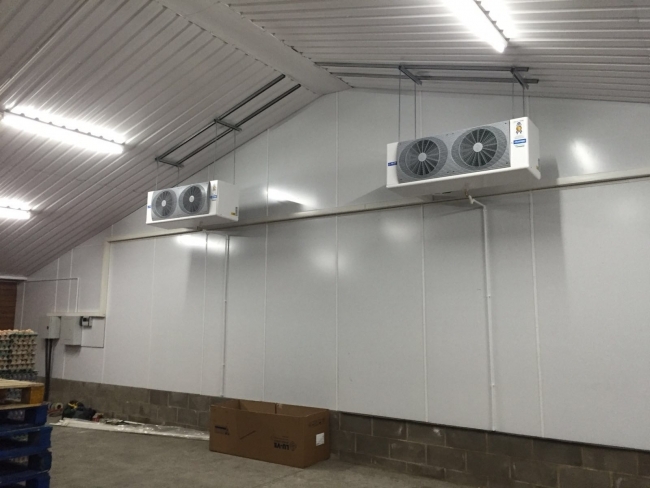 Continued expansion has also resulted in a further blast chiller cold room and one temperature controlled preparation room. 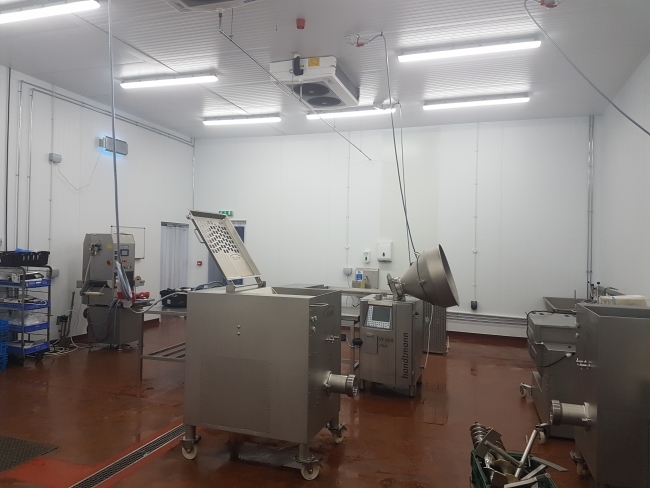 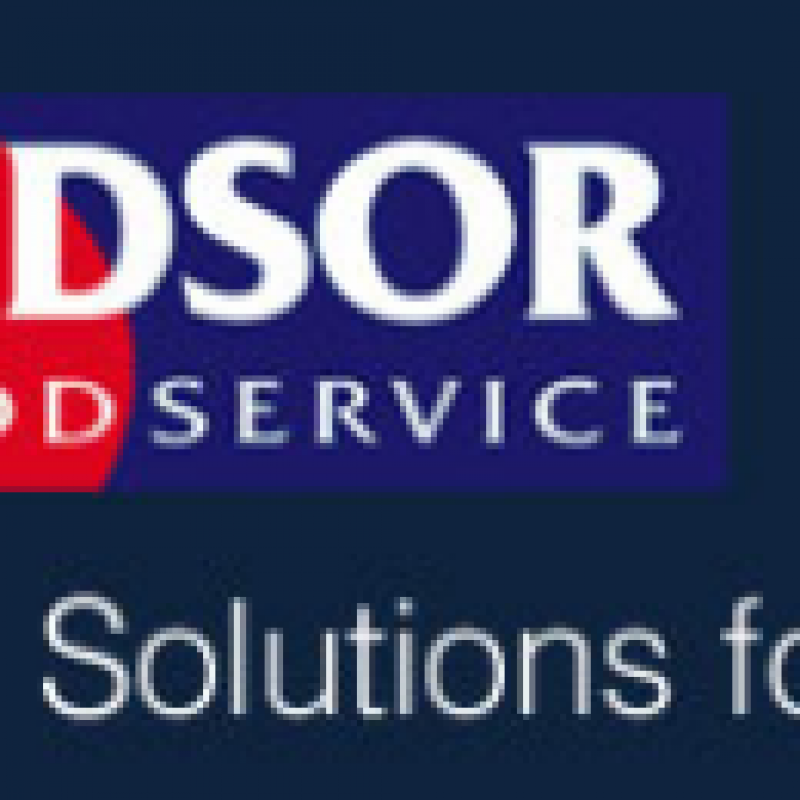 Roger Taylor recently contacted us to provide a solution to help increase their product capacity with regard to fresh meat and fruit/vegetables. 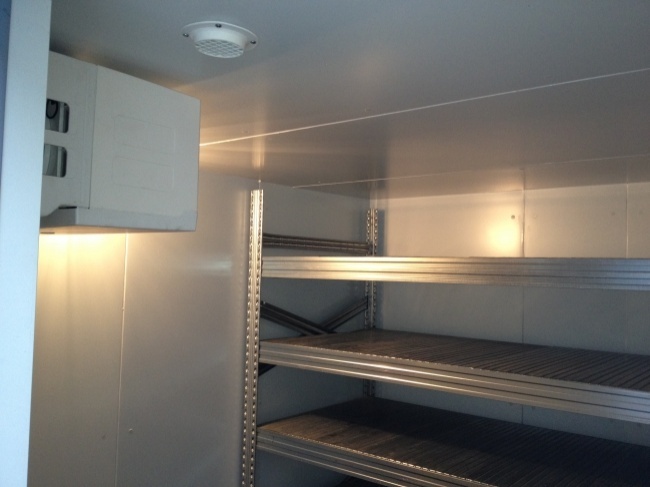 Selected were two ECA approved 3.75m multideck cabinets. 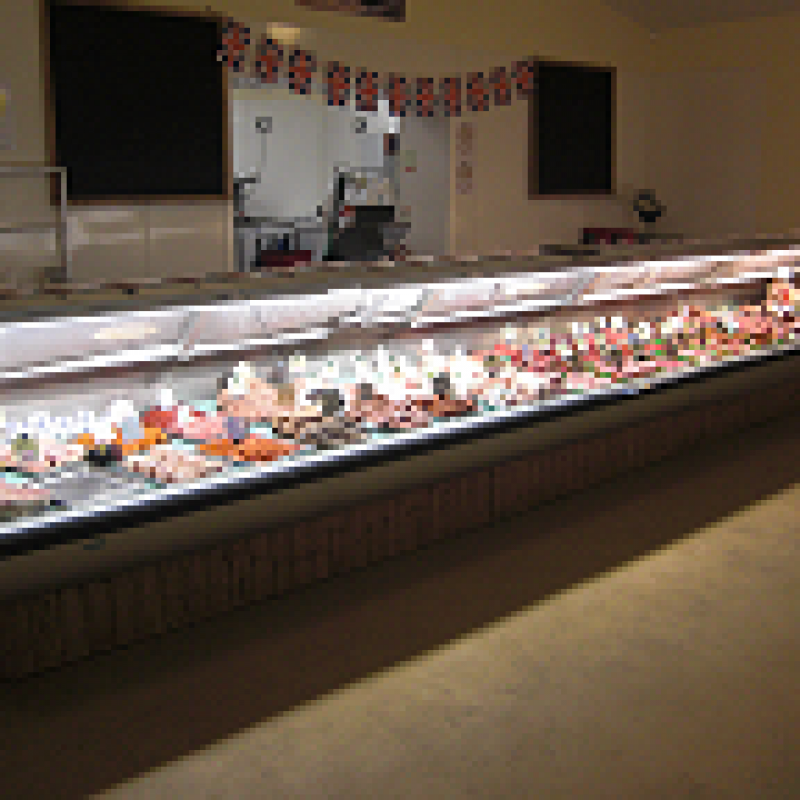 You can visit the farm shop at Hall Lane, Ormskirk, Lancashire. 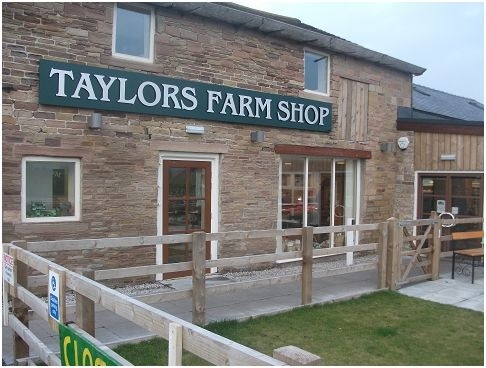 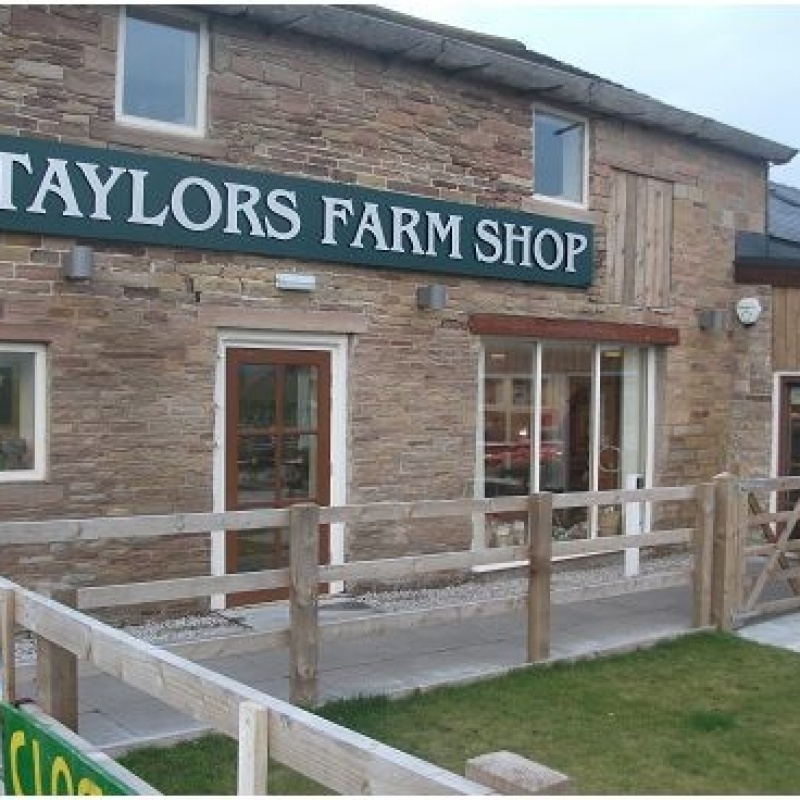 We have had great pleasure in helping the Albion farm shop located in the village of Delph,Yorkshire. 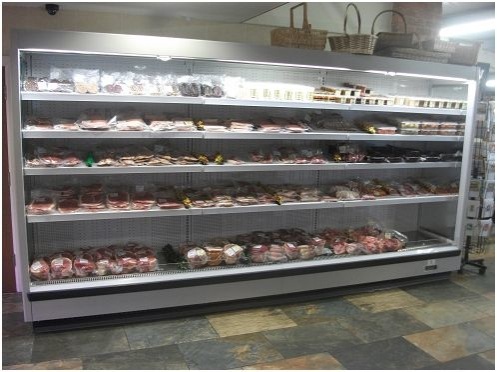 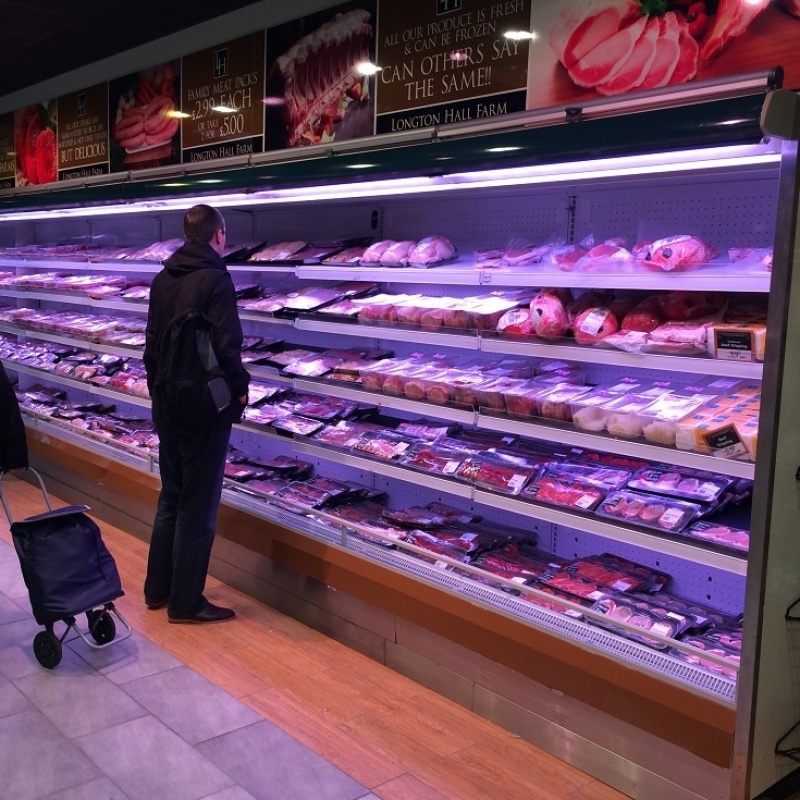 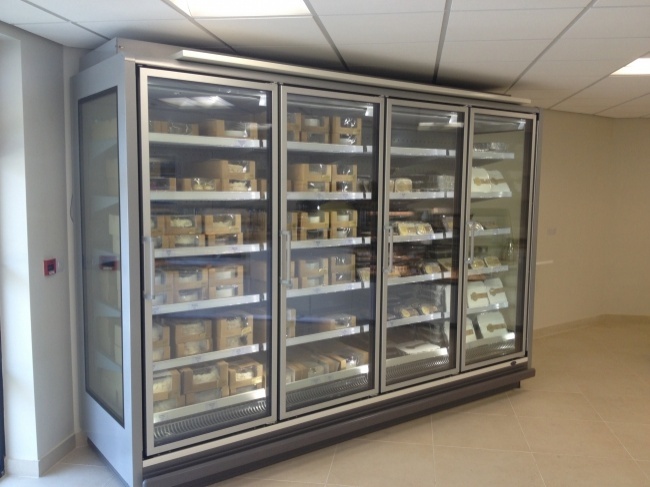 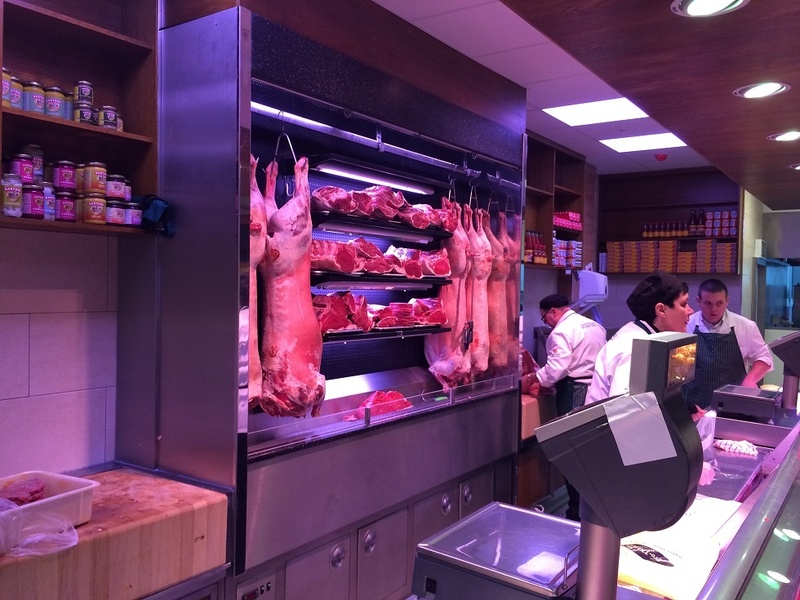 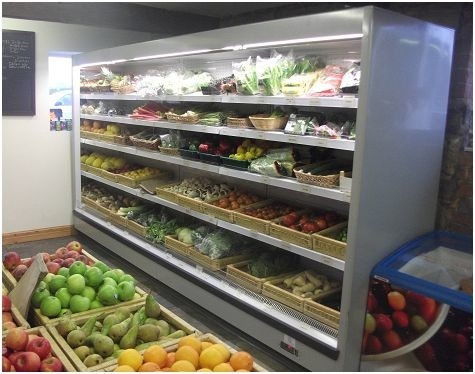 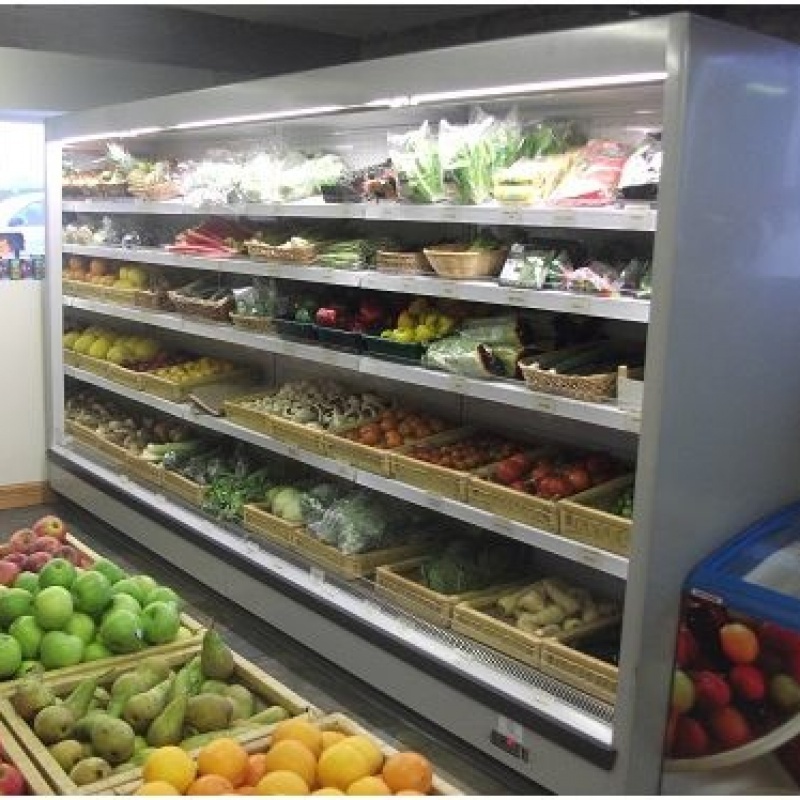 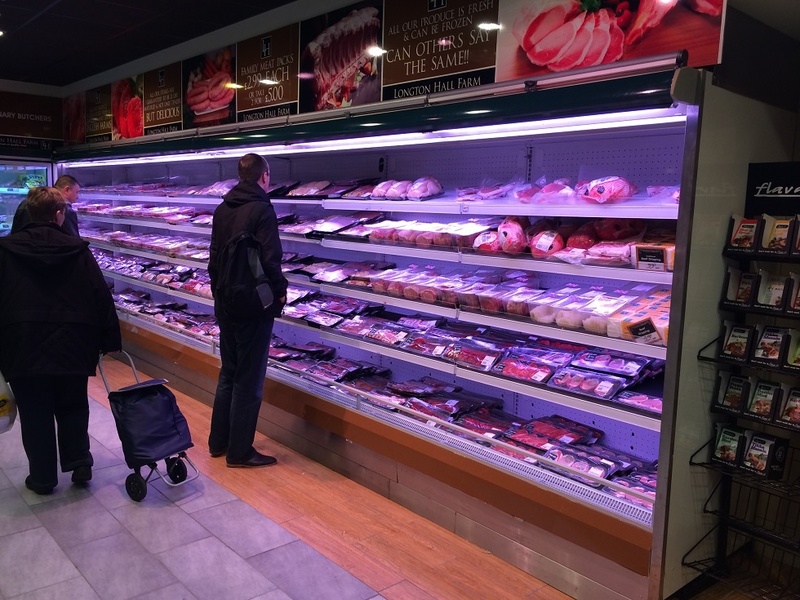 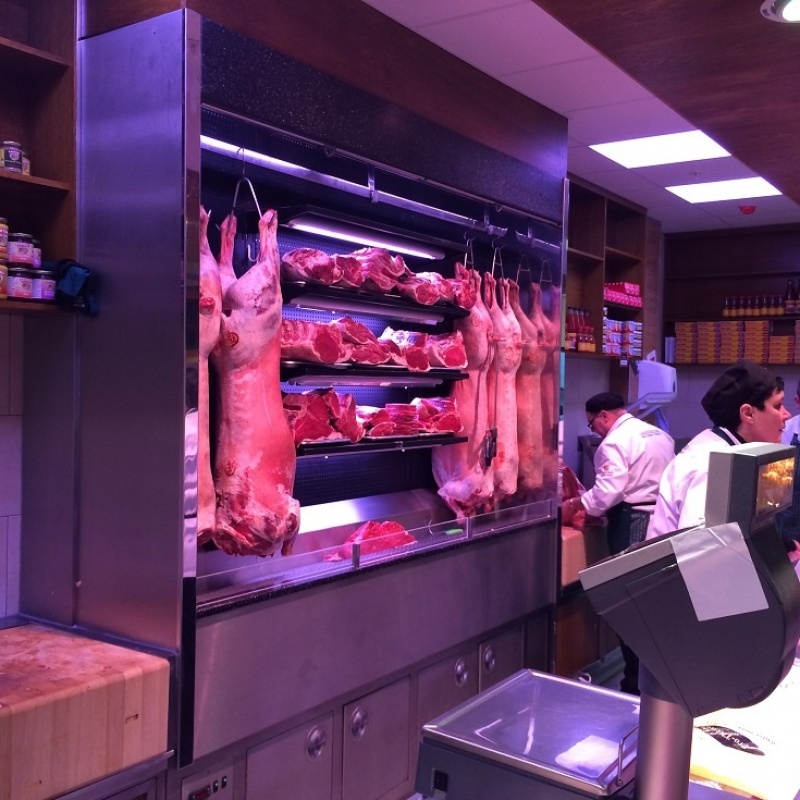 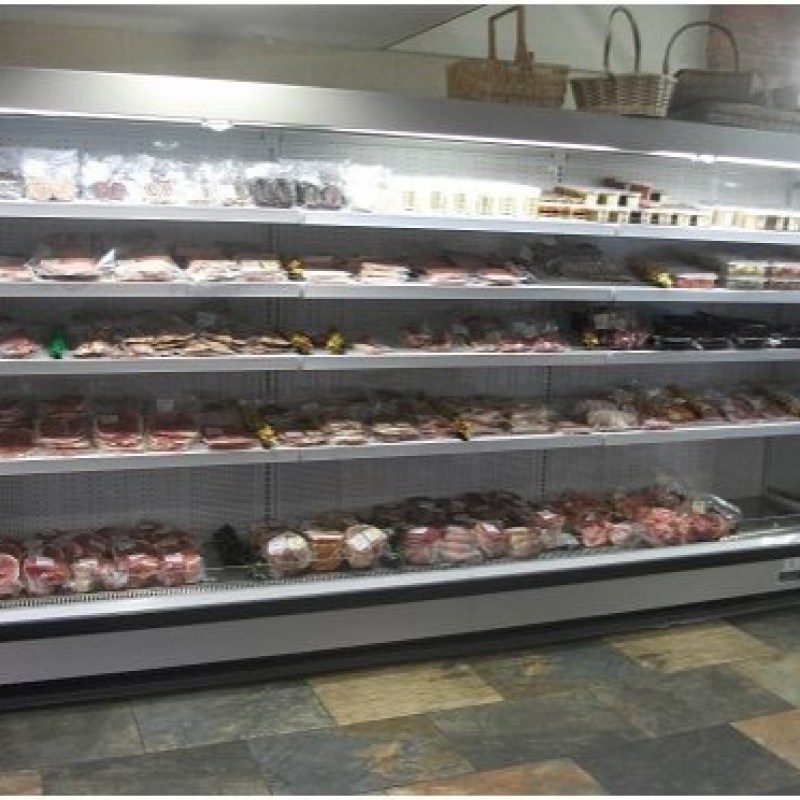 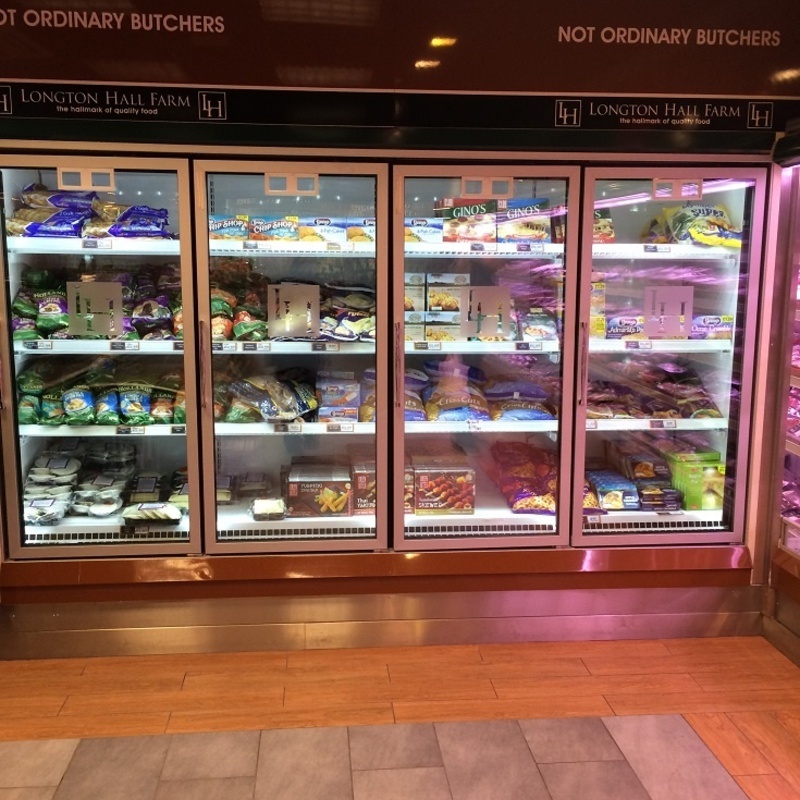 The new shop now has many various refrigerated display applications ranging from delicatessen counters, frozen glass displays and multidecks to promote their goods. 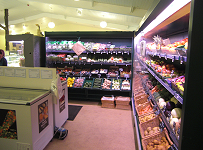 The Albion Farm Shop at Delph near Oldham. 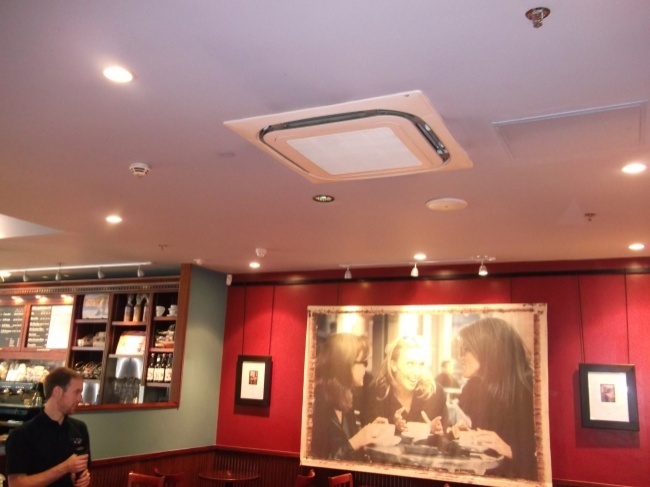 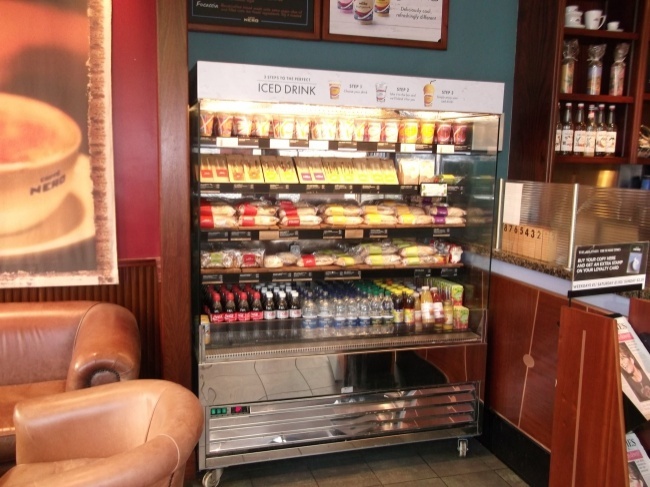 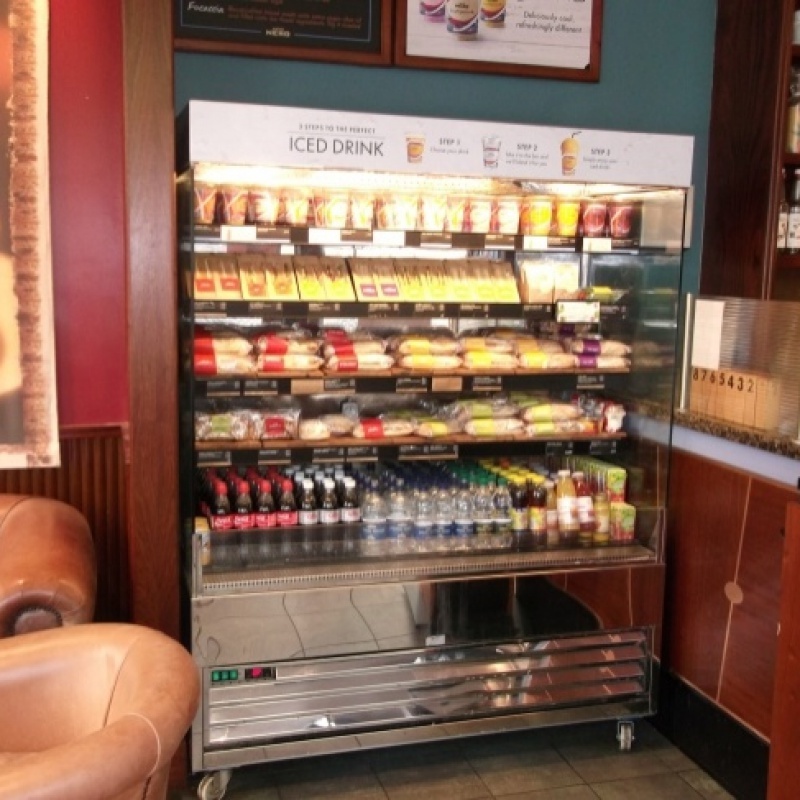 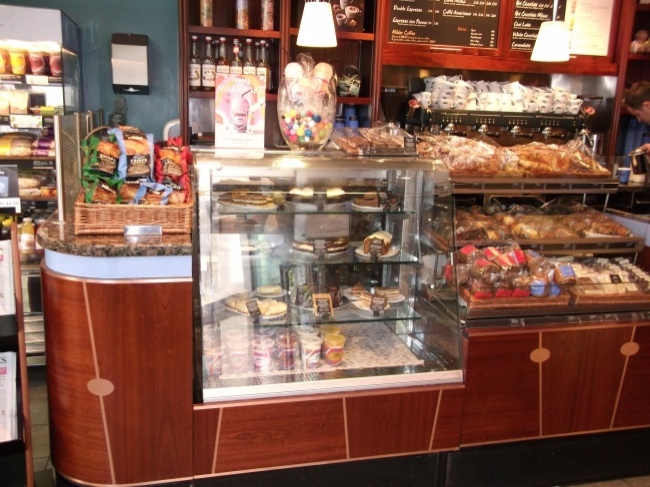 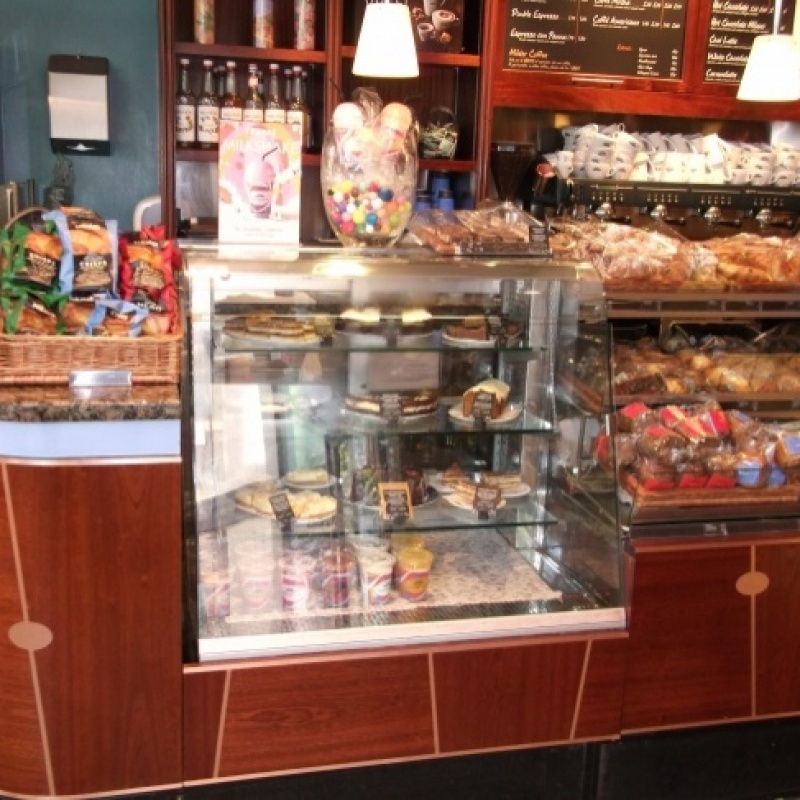 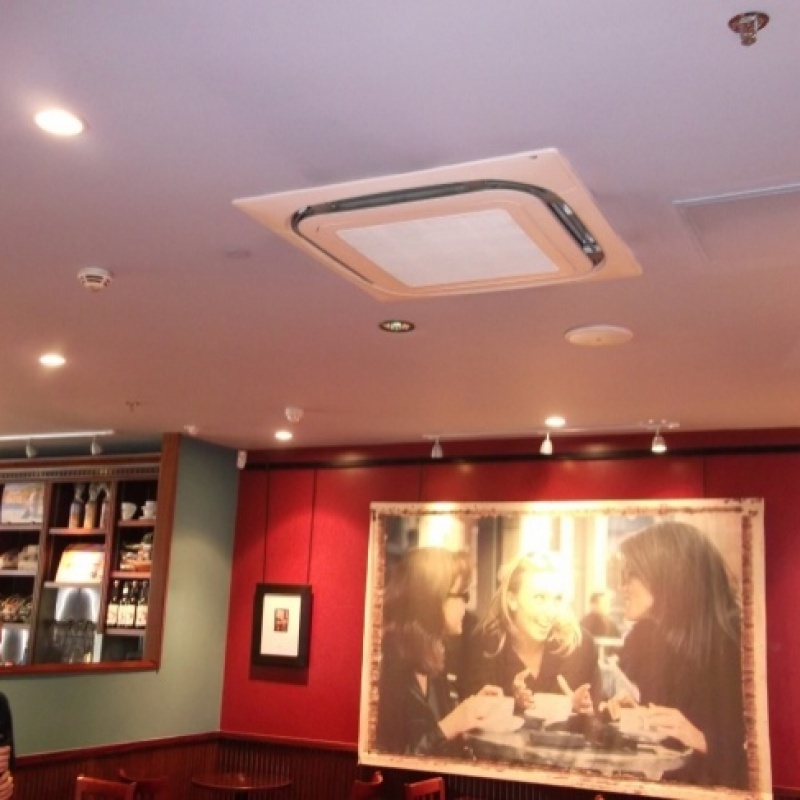 One of the fifty two Caffe Nero stores we help manage. 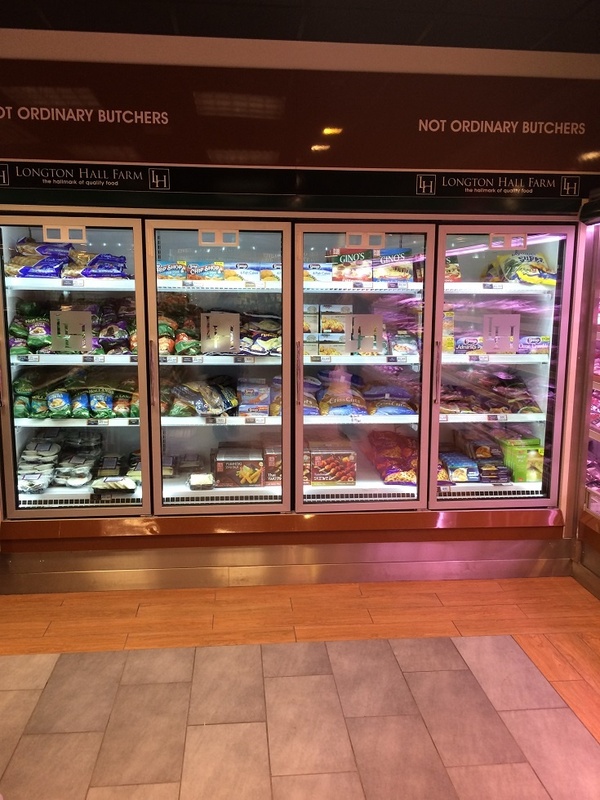 This outlet is in the new shopping centre at Liverpool One - recent work completed on the air conditioning systems and refrigerated display cabinets.